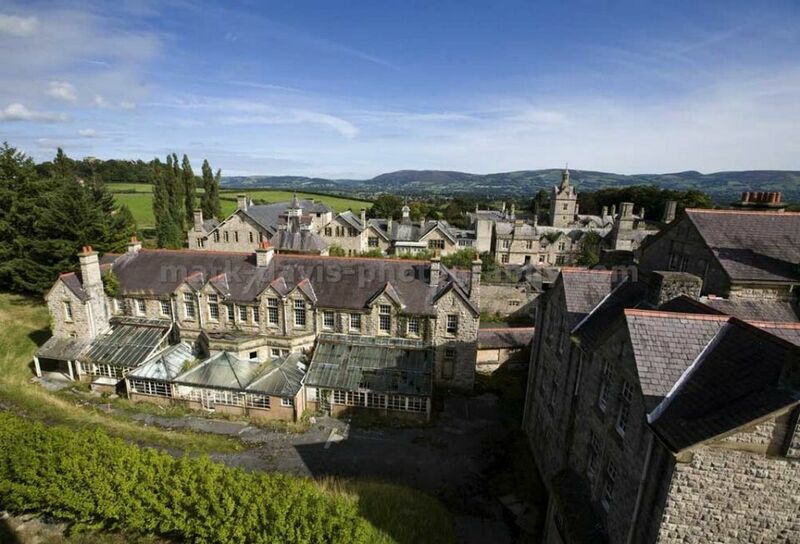 The original 1808 Wynn’s Act was discretionary and yet despite the population boom of the Industrial Revolution resulting in the need for more beds, many respective counties were slow to provide places. 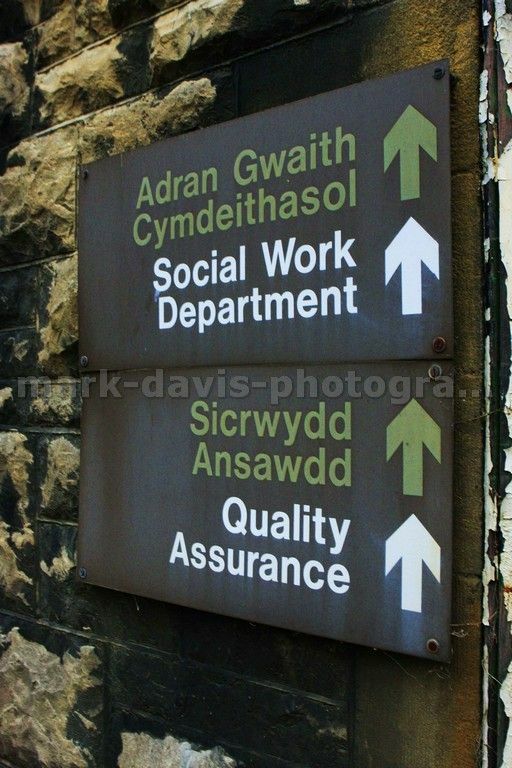 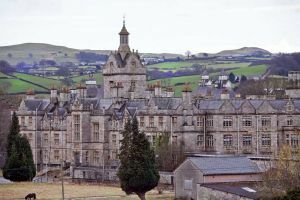 By 1841 only 14 English counties had complied, and in north Wales there was no such institution for the care and treatment for the Welsh speaking insane poor. 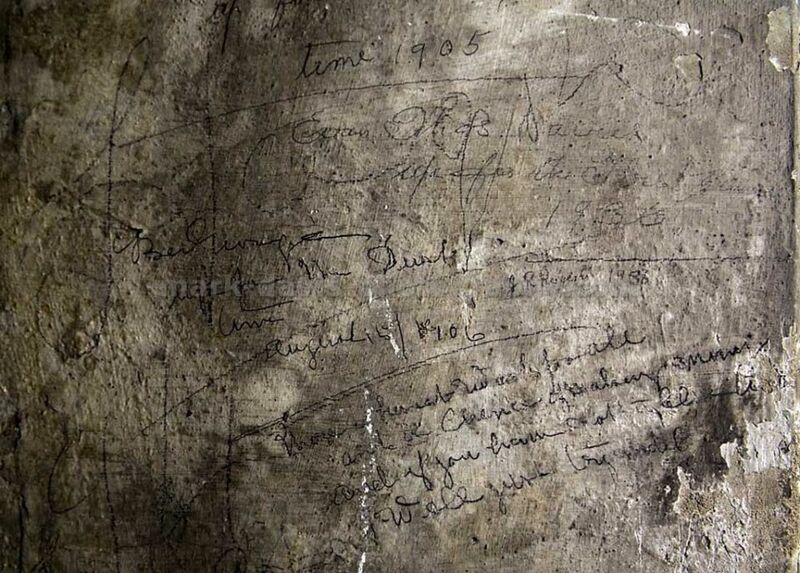 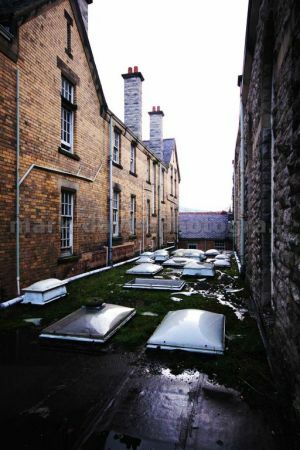 Those diagnosed as the most serious cases were in actual fact sent to English speaking asylums such as Gloucester. Dr Samuel Hitch the Medical Superintendent of Gloucester was acutely aware of the difficulties that the Welsh inmates were enduring and lobbied the Times newspaper, and he said;. 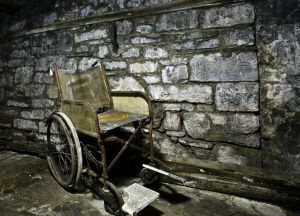 Having made the general public aware the Metropolitan Commissioners in Lunacy were compelled to investigate the good doctors observations, and in 1844 a report to the Government duly concurred with the miserable conditions Dr Hitch had described. 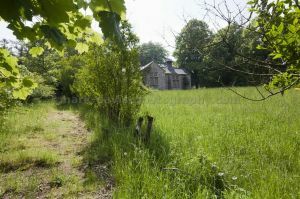 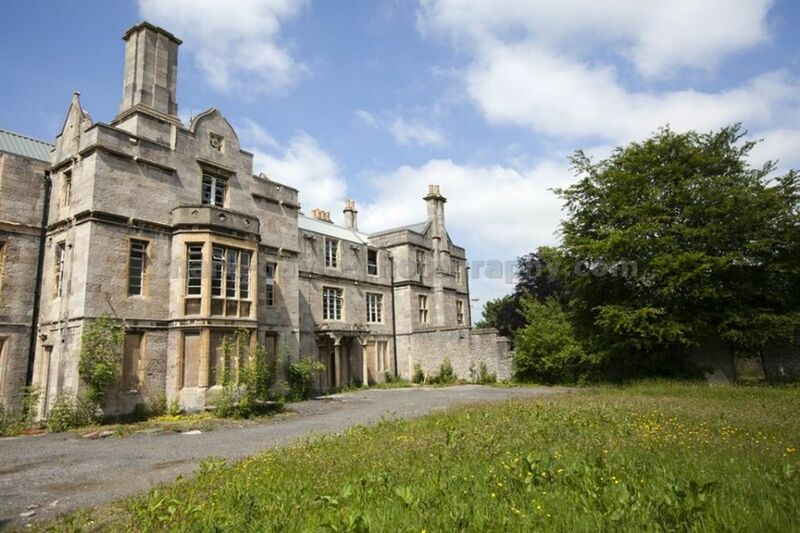 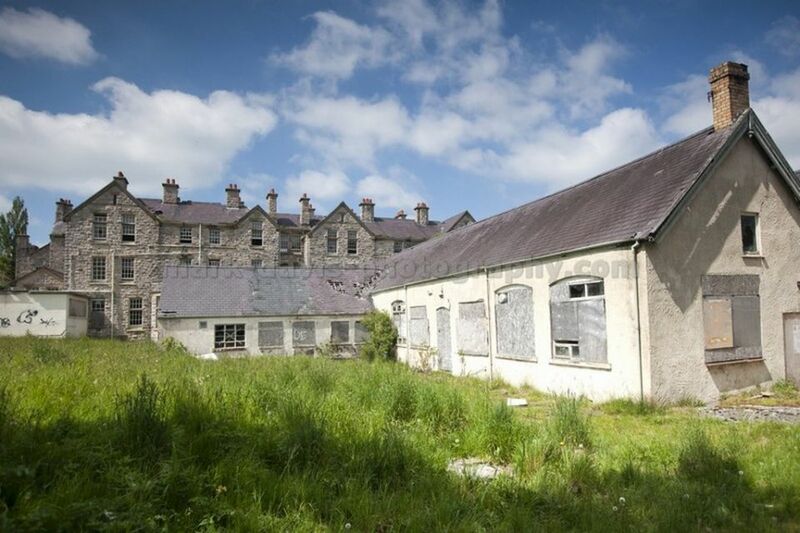 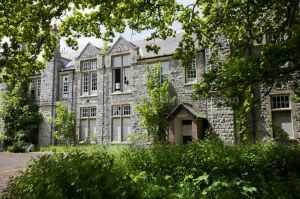 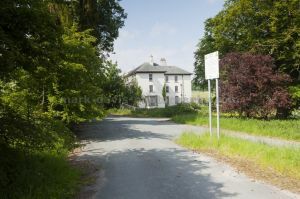 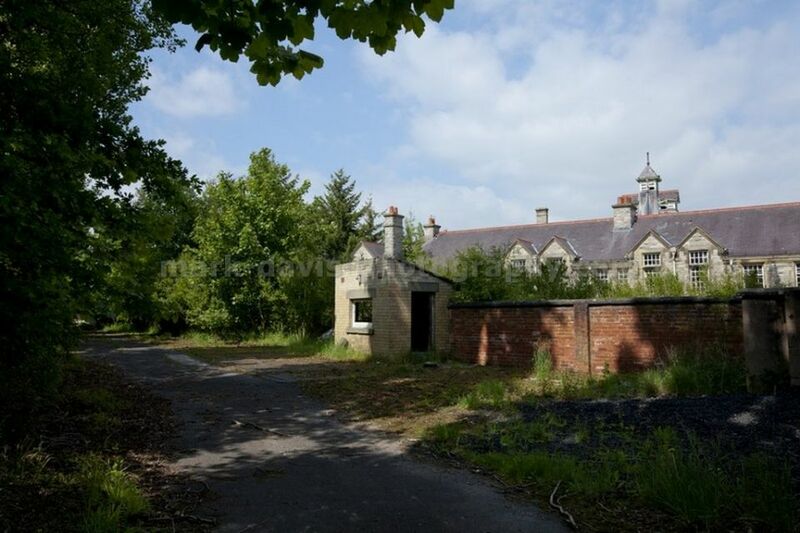 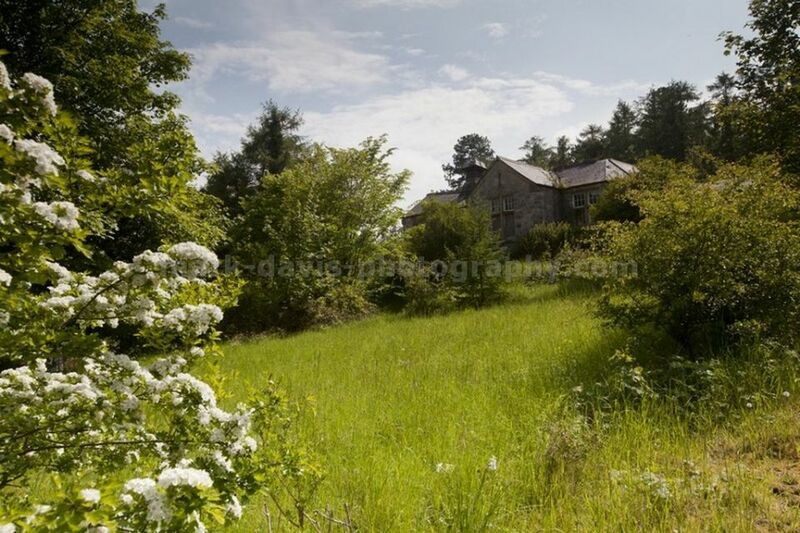 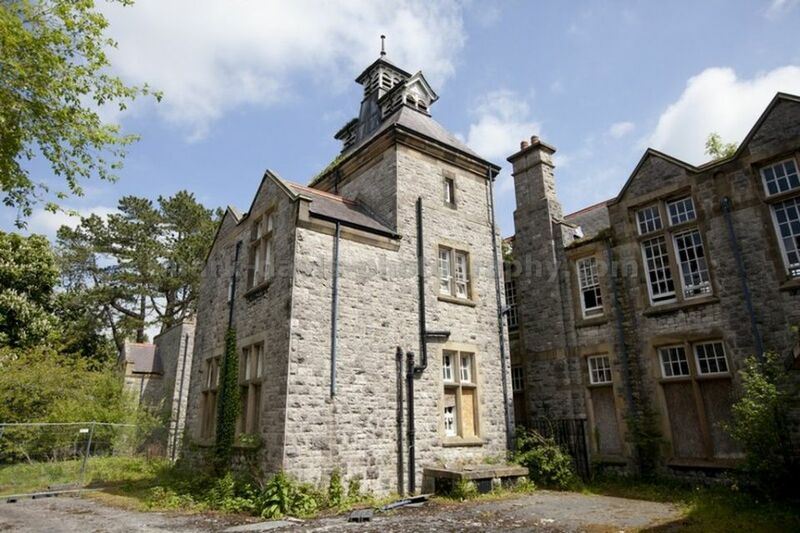 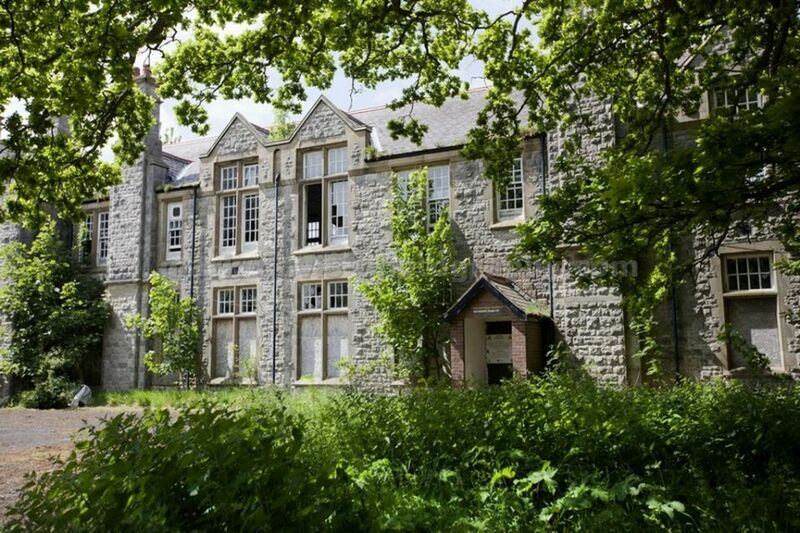 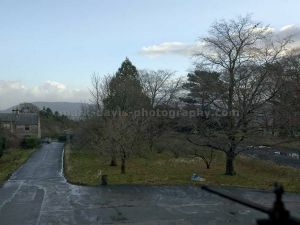 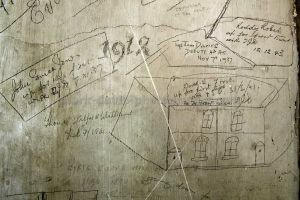 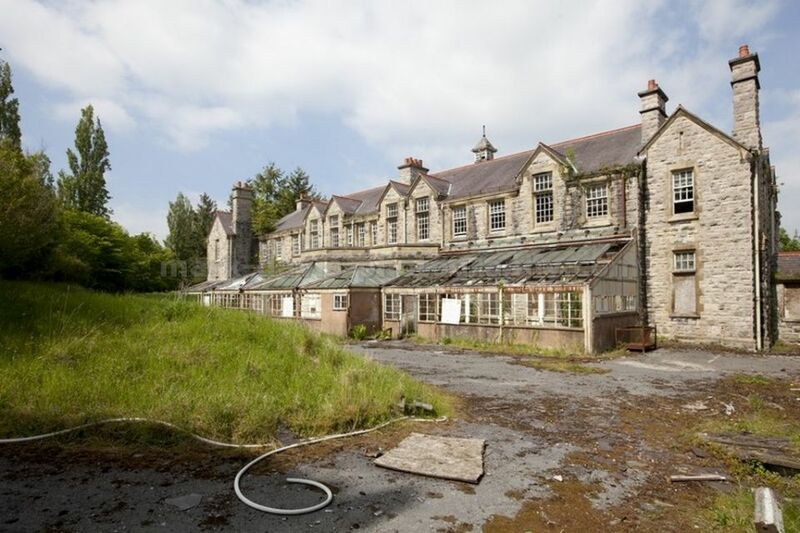 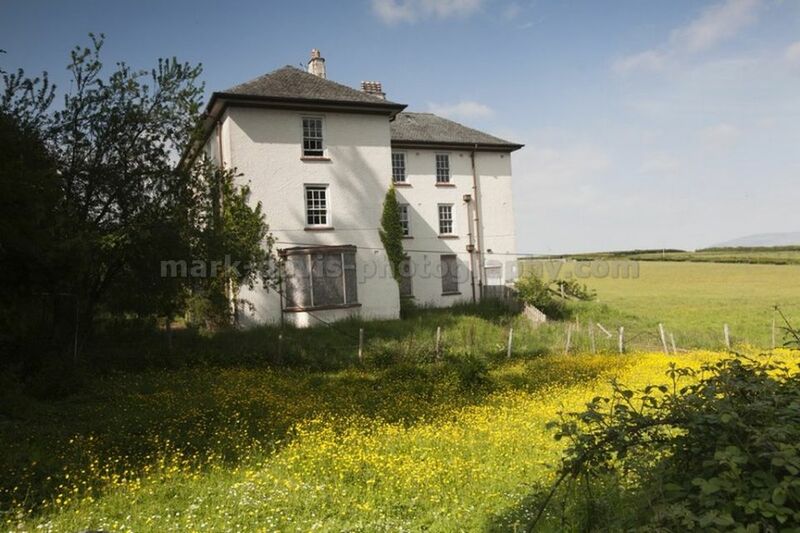 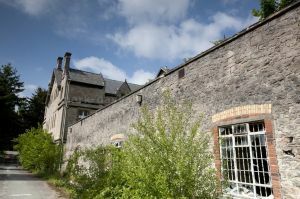 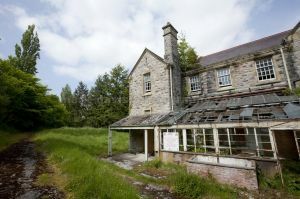 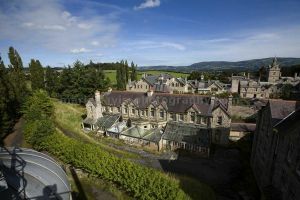 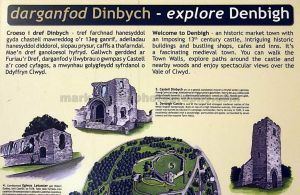 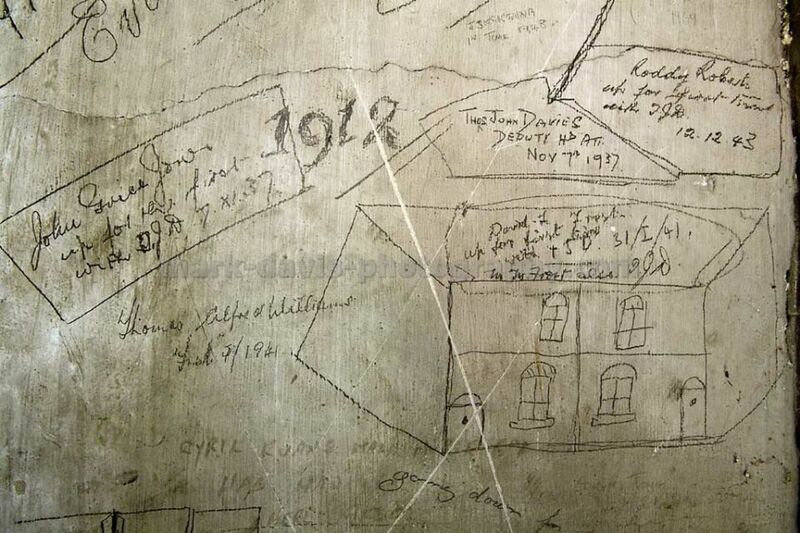 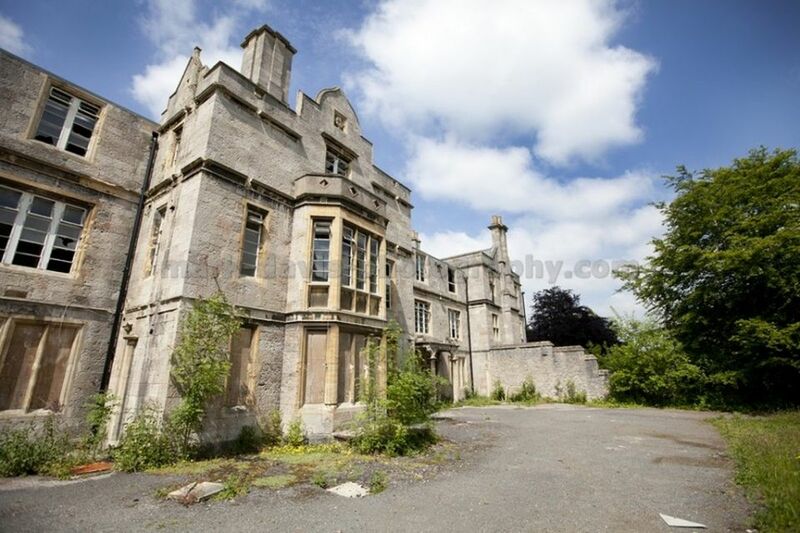 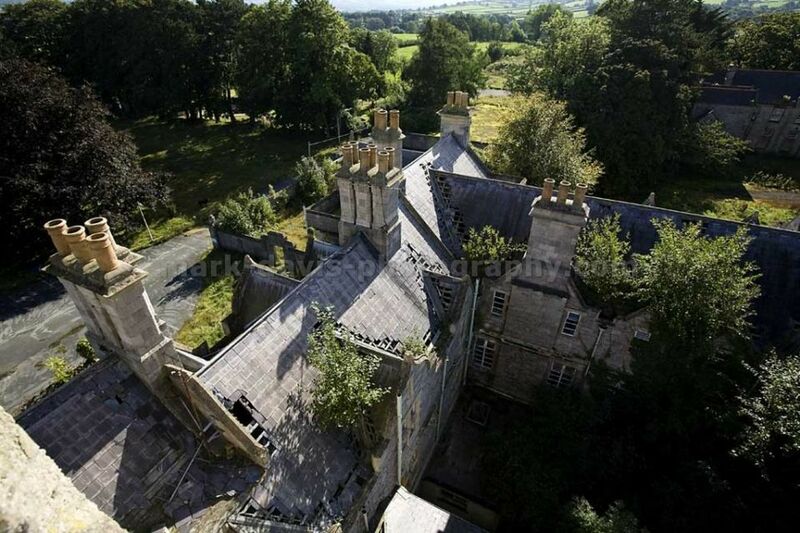 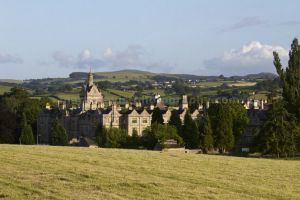 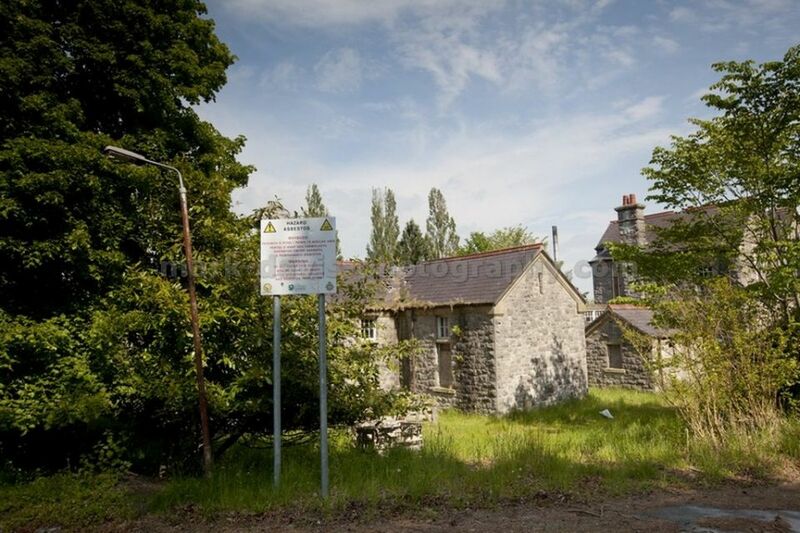 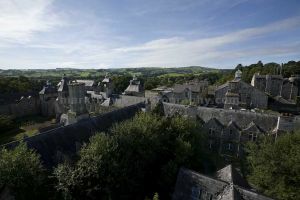 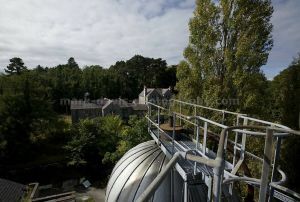 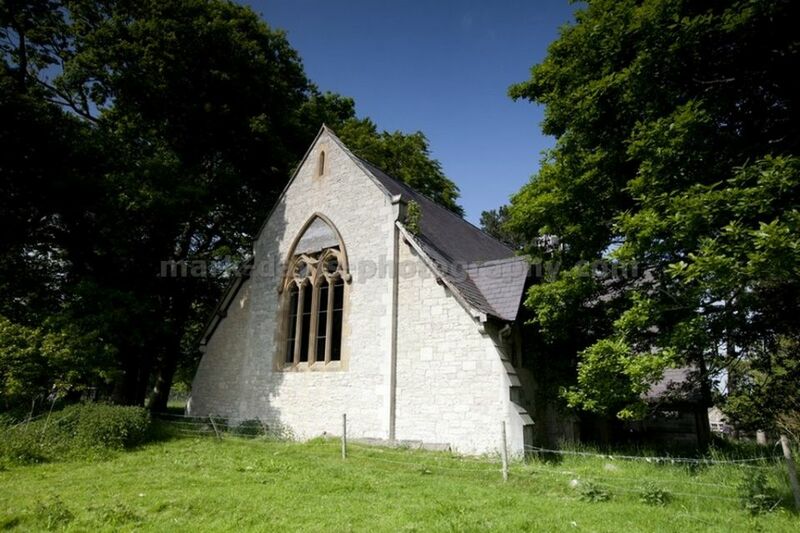 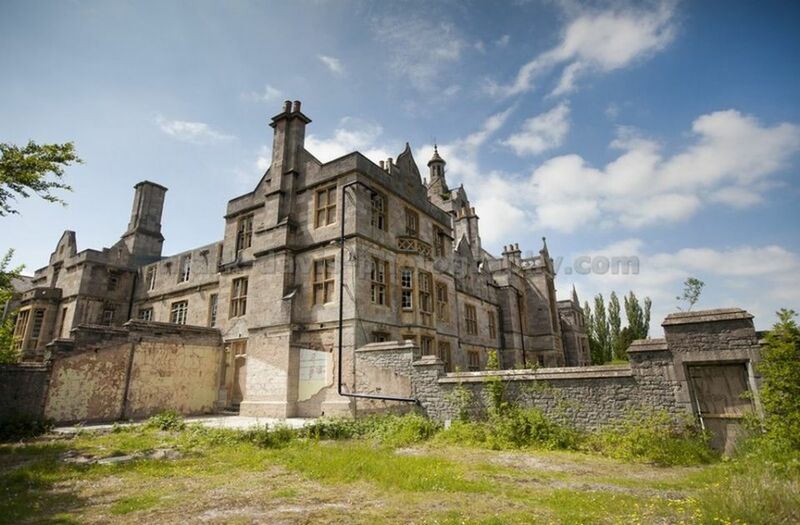 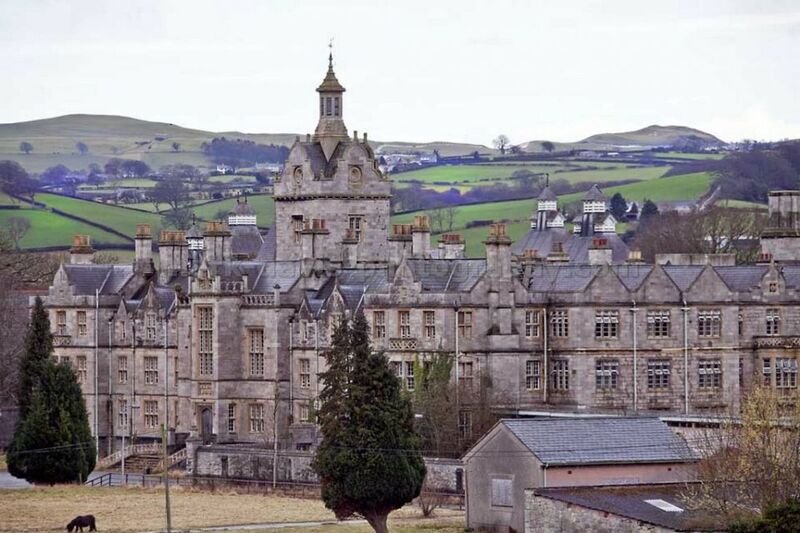 In the same year a 20 acre parcel of land was donated in Denbigh North Wales by Joseph Ablett of Llanber Hall for the purpose of building an asylum for the North Wales Counties. 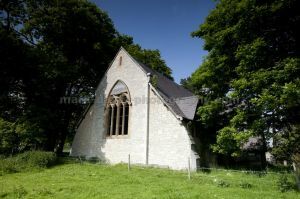 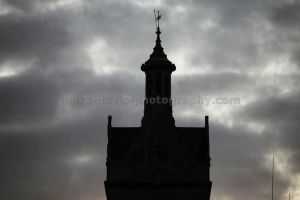 The new structure which incorporated a clock donated by Joseph Ablett’s widow and built in locally quarried limestone brick was designed by Mr Fulljames who originated from Gloucester and superintended by Dr Samuel Hitch. 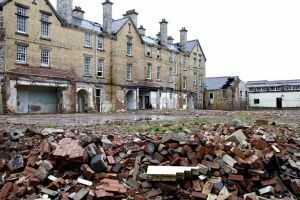 It was during the build that new legislation came into place making it compulsory that each and every county provide an asylum for their respective insane poor. 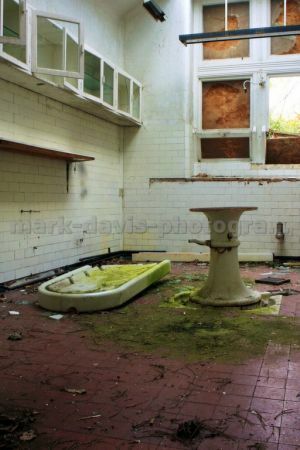 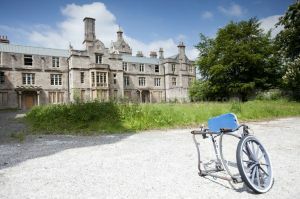 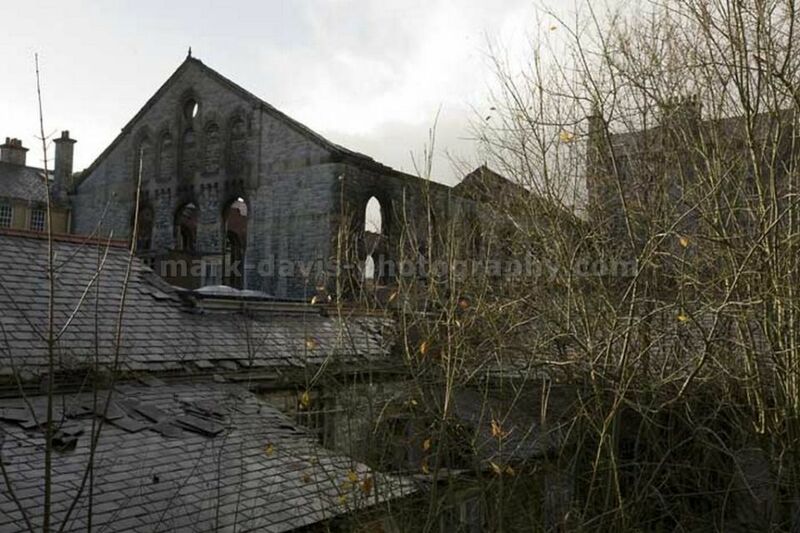 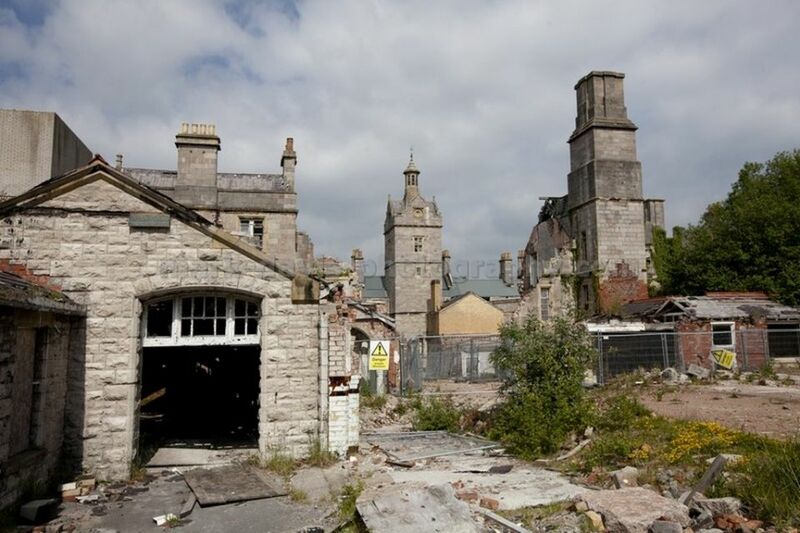 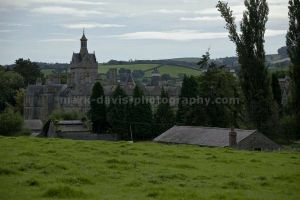 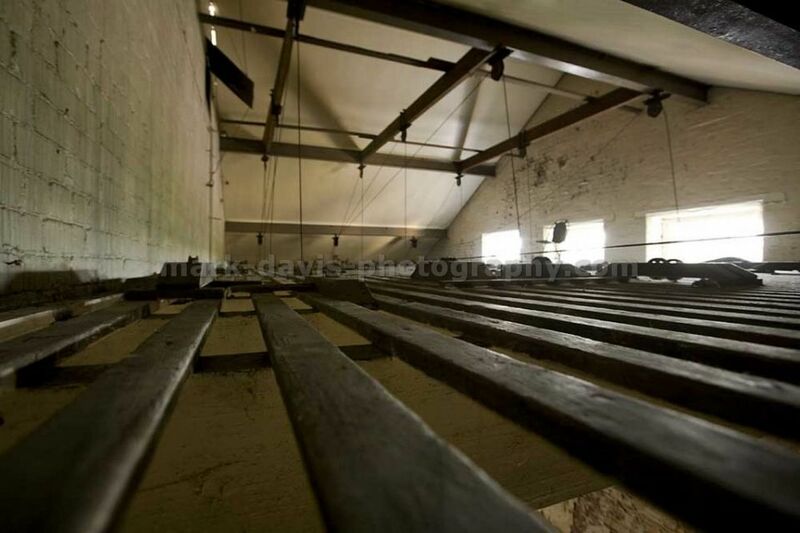 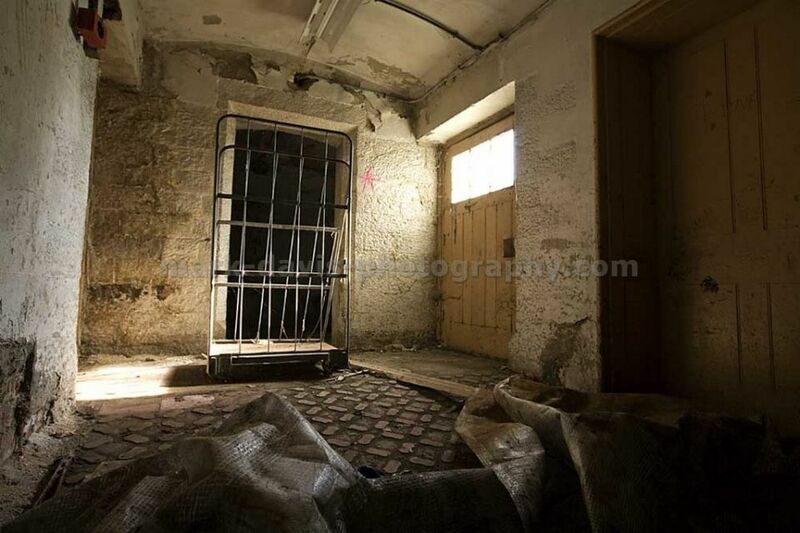 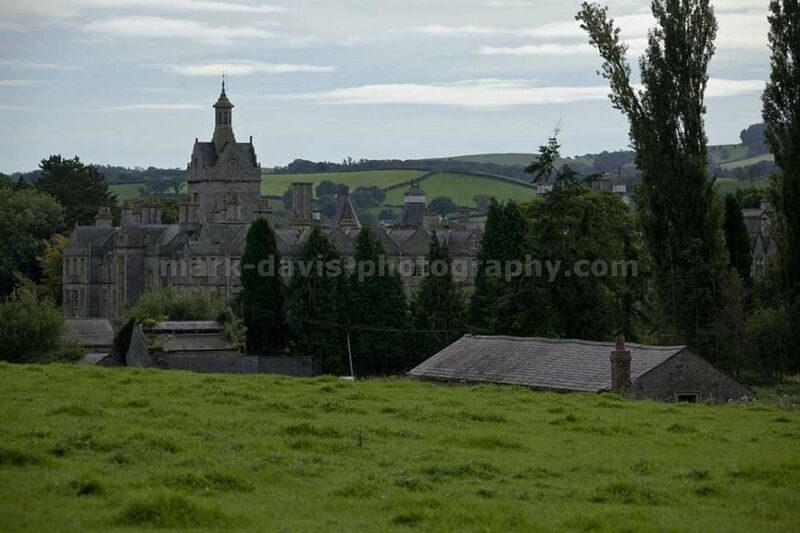 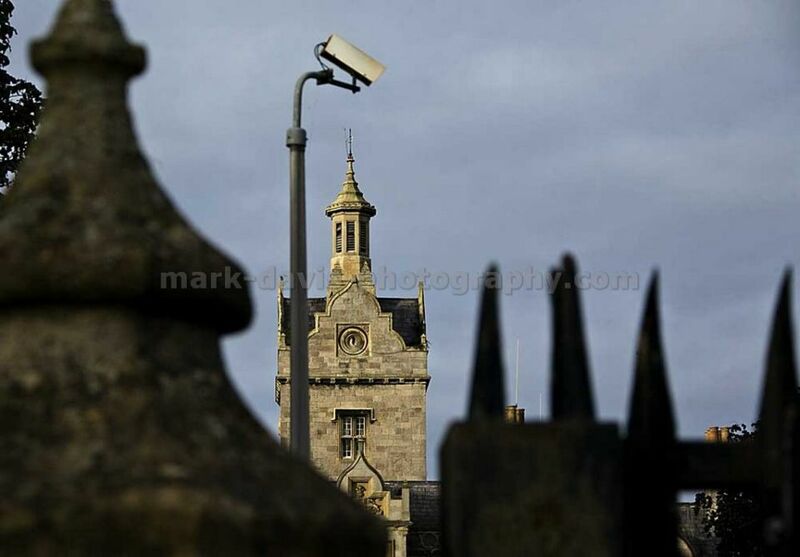 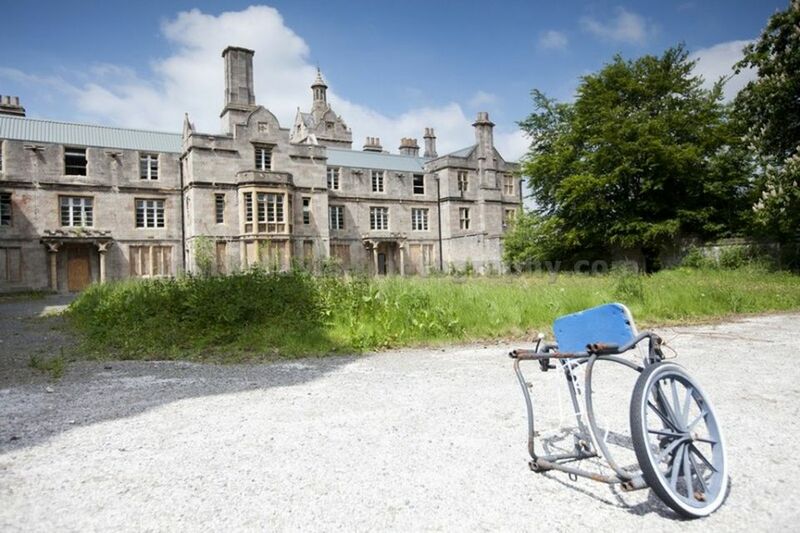 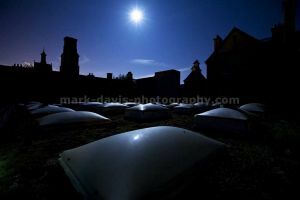 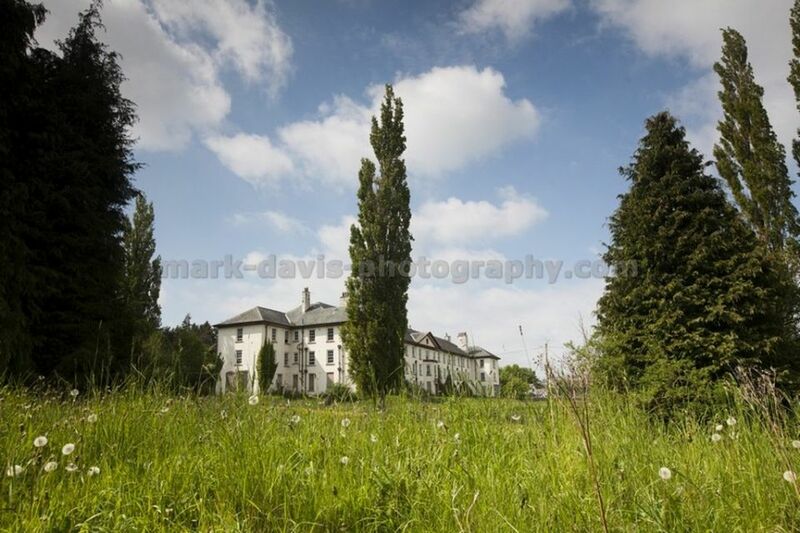 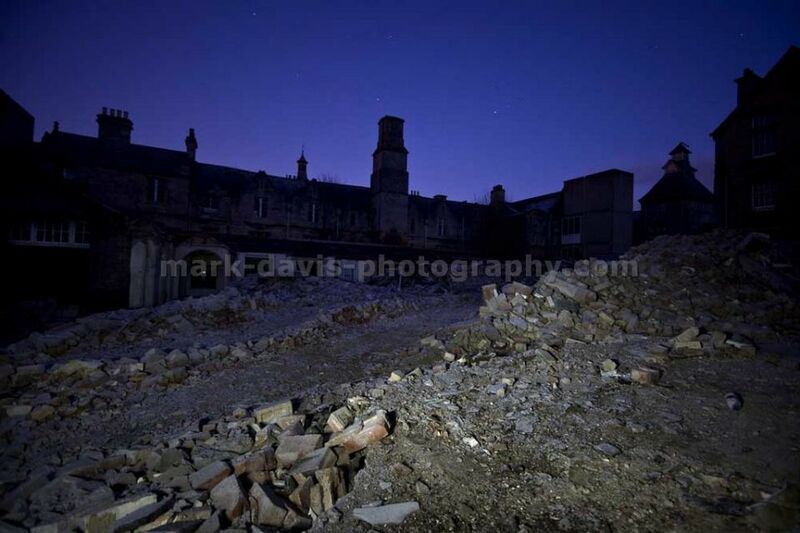 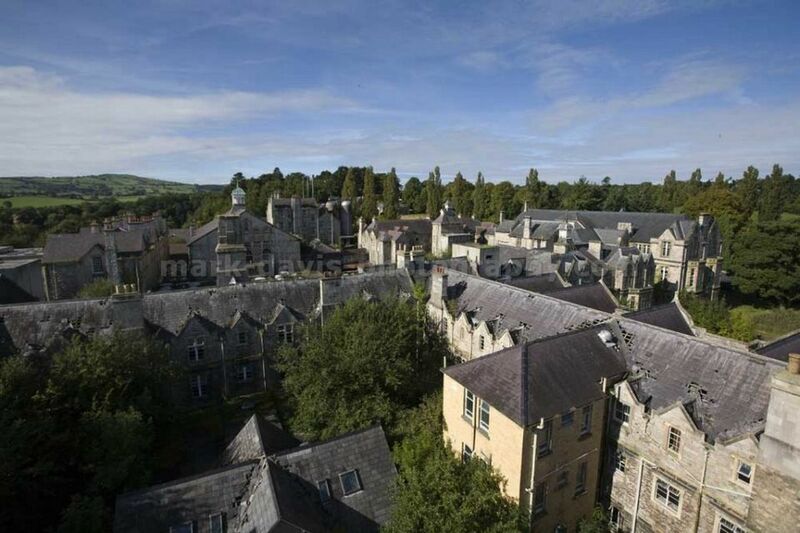 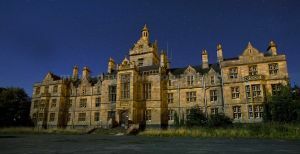 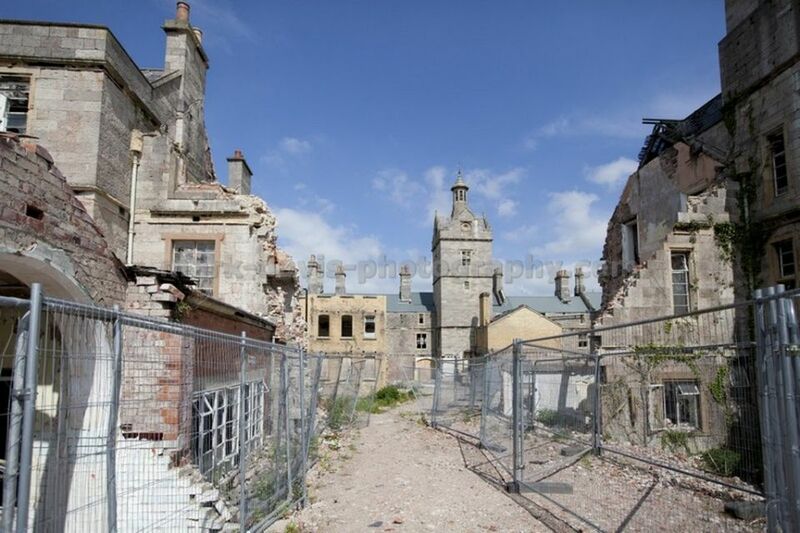 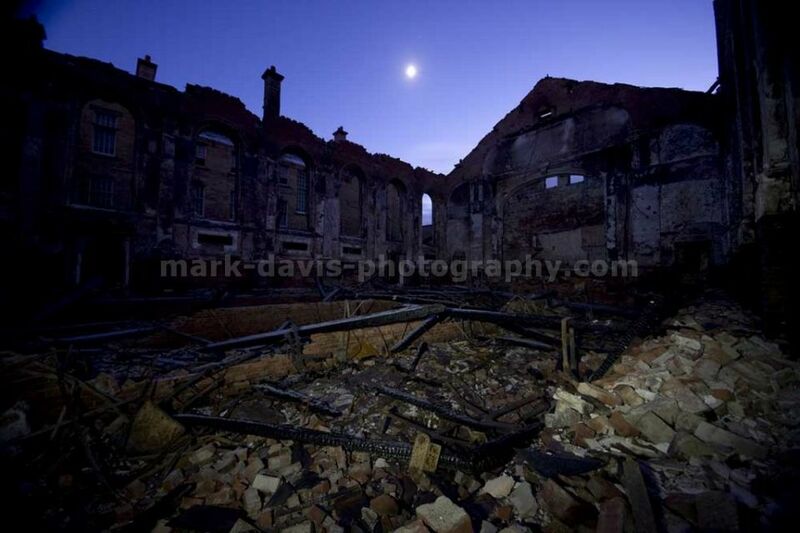 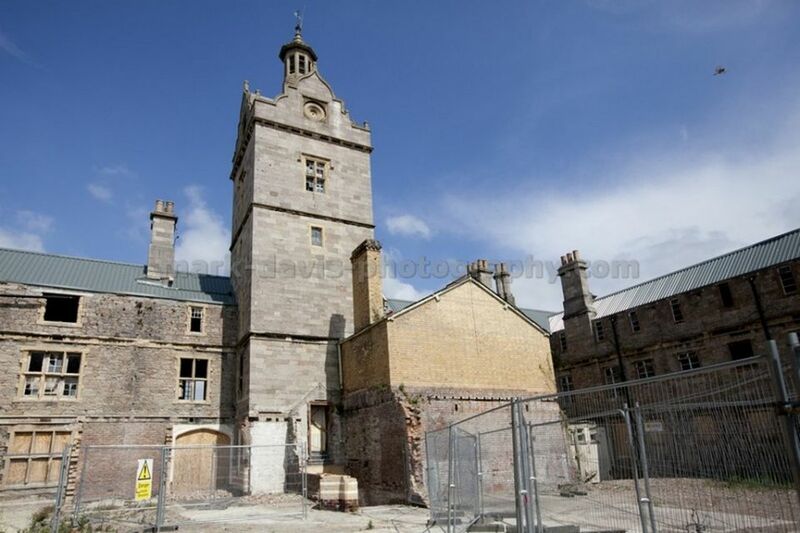 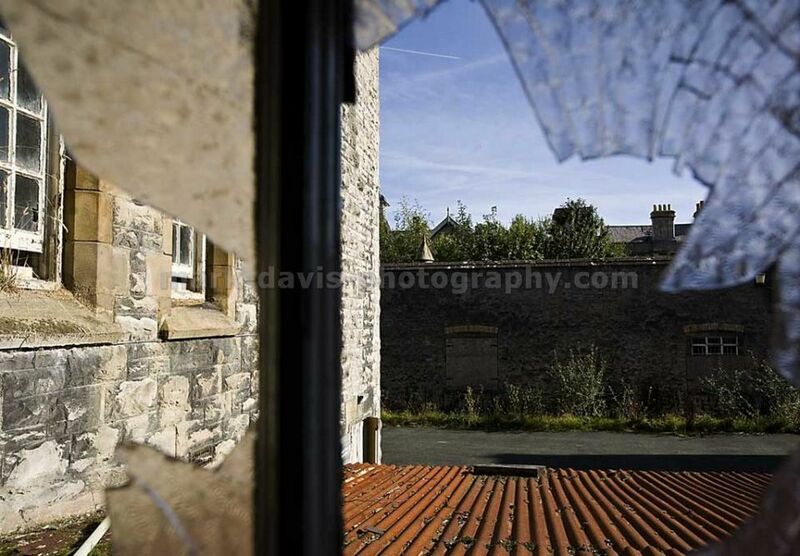 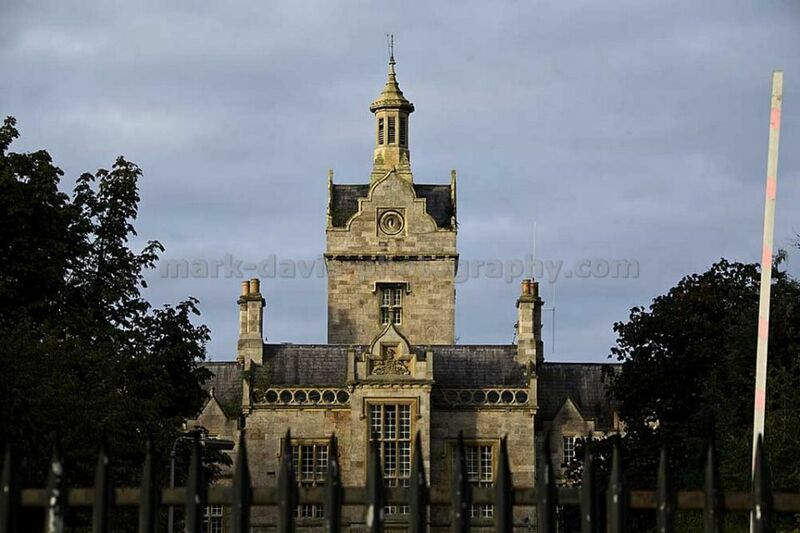 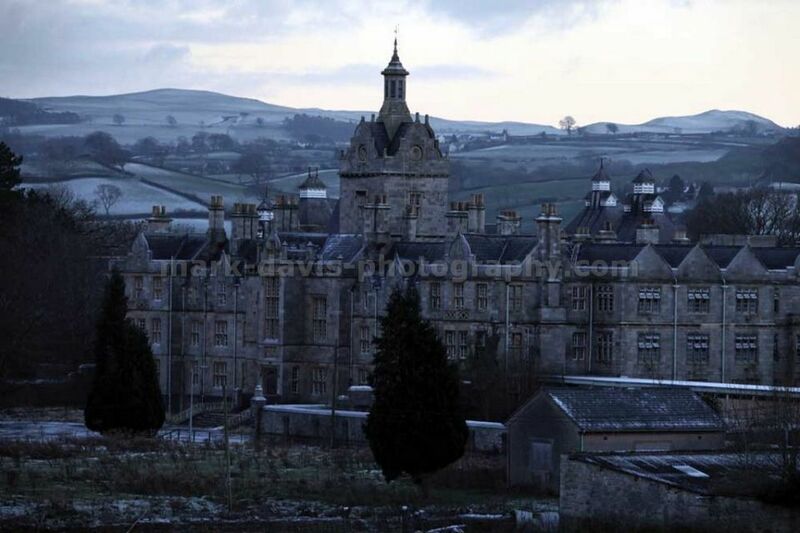 On the 14 November 1848 Denbigh Asylum opened with beds for the reception of up to 200 hundred patients. 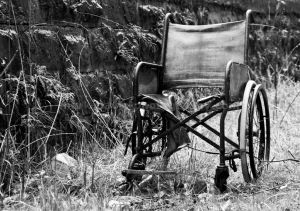 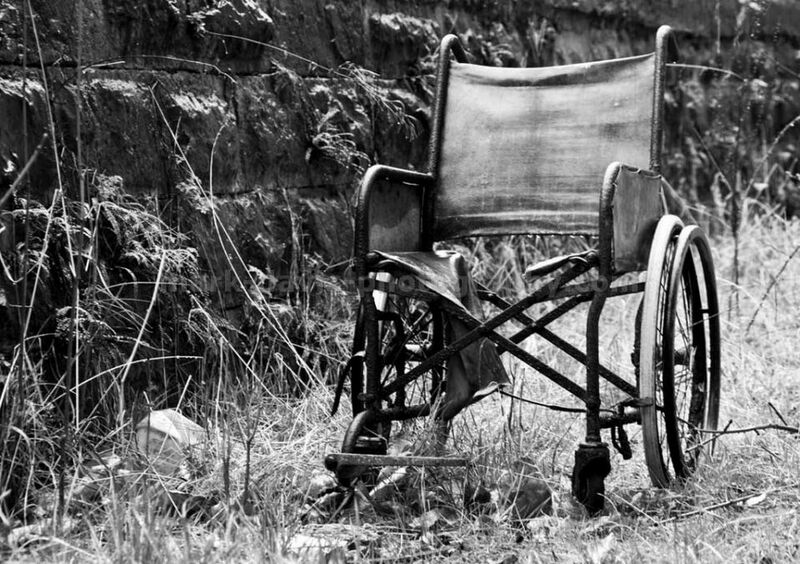 Over the years as the population increased so did the asylum to the extent that over 1500 patients could be placed under care and treatment at its peak. 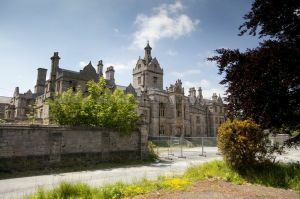 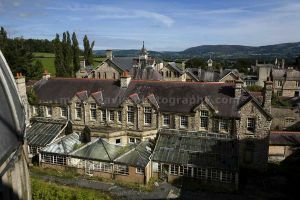 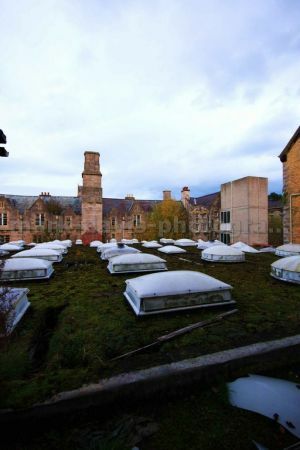 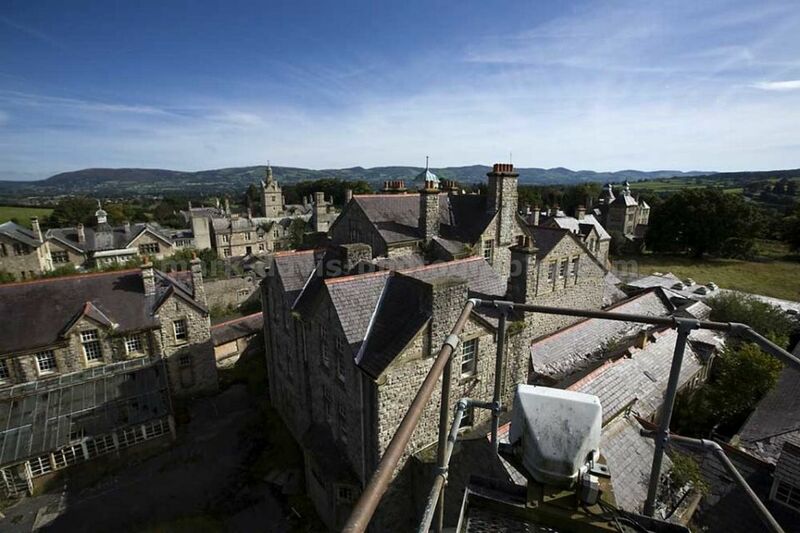 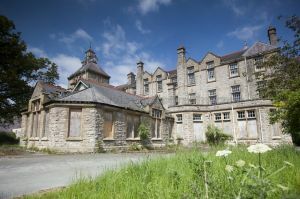 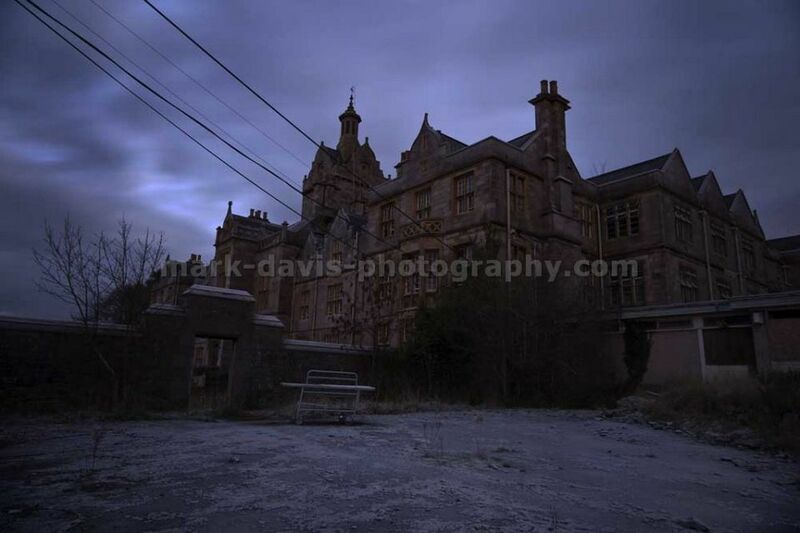 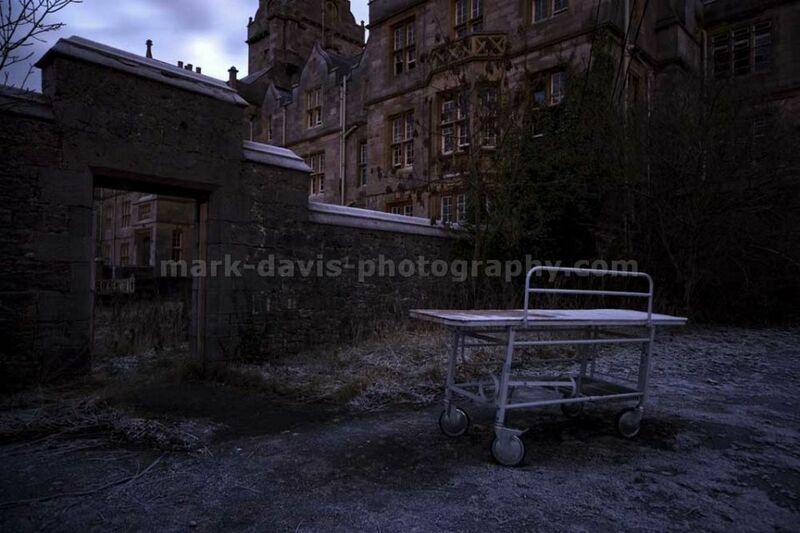 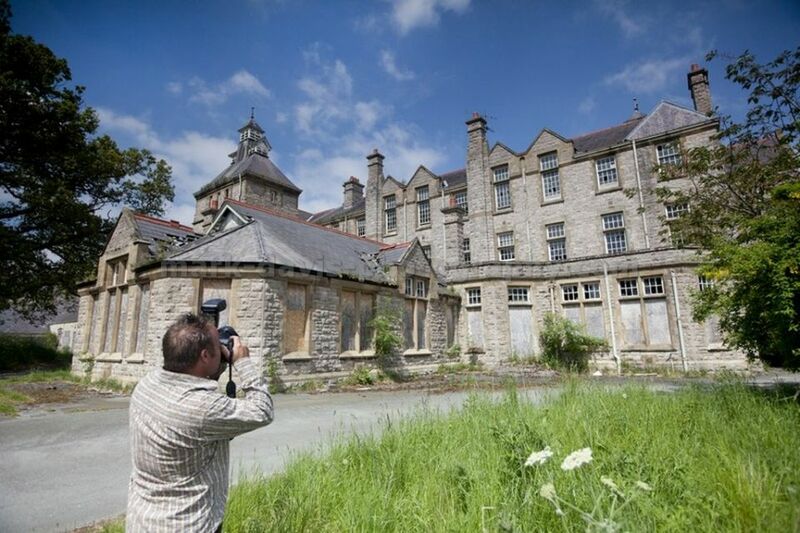 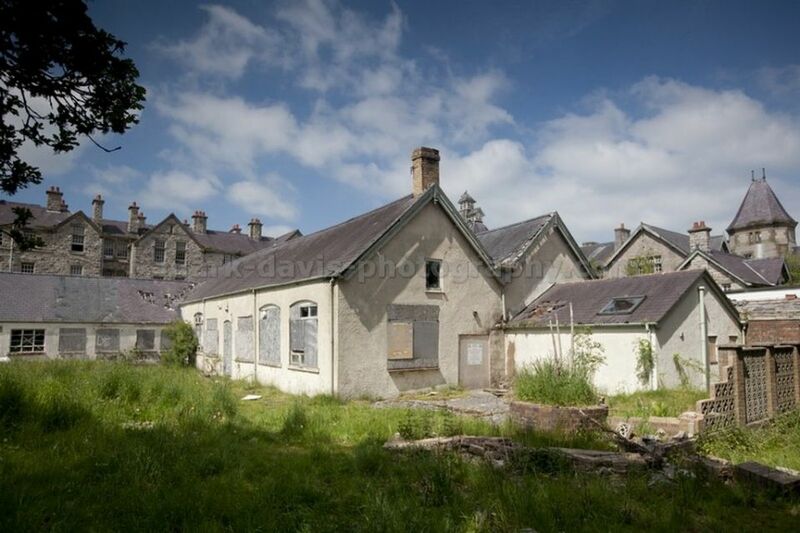 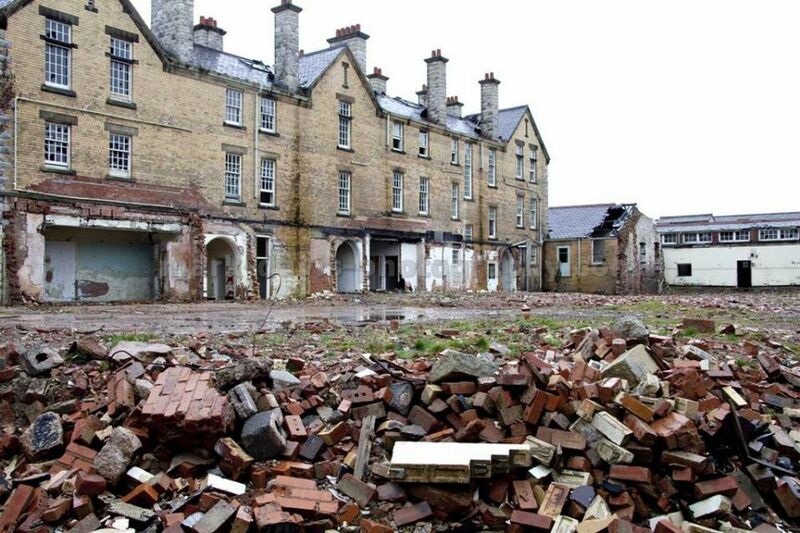 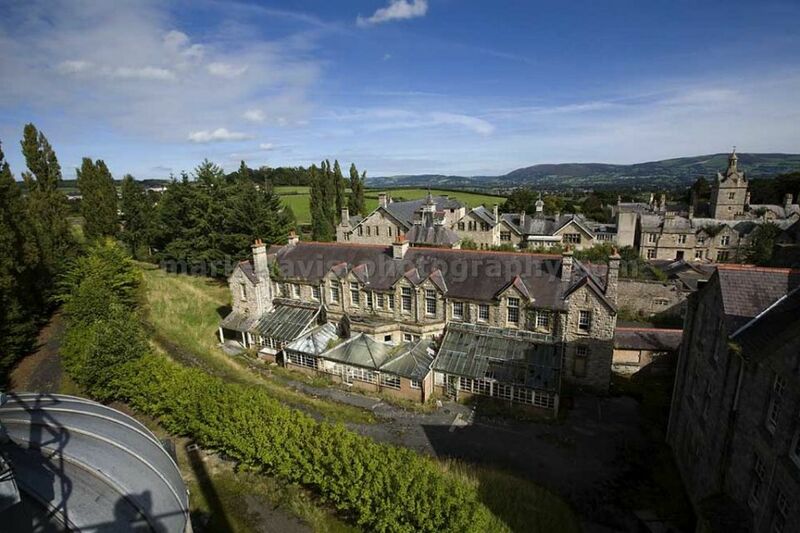 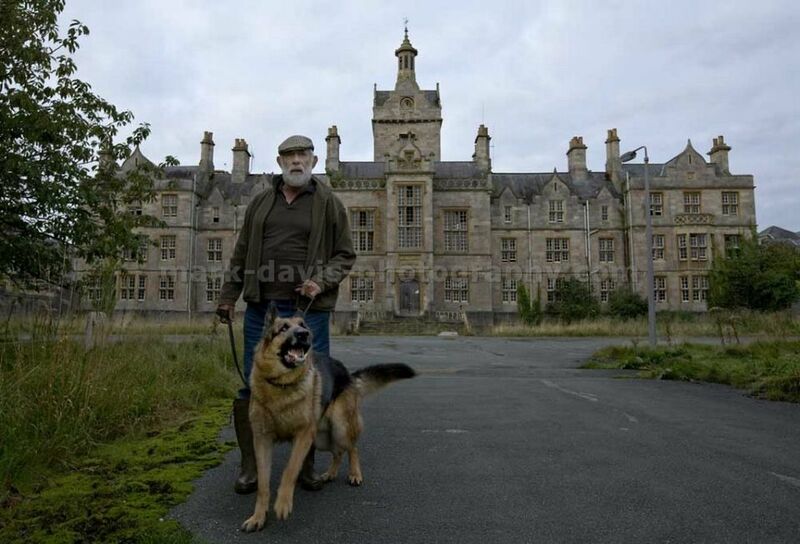 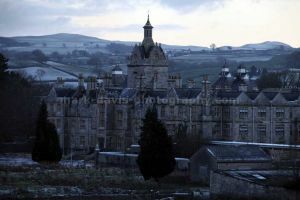 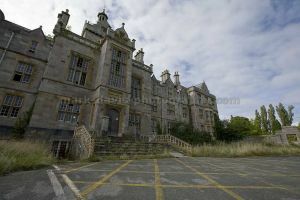 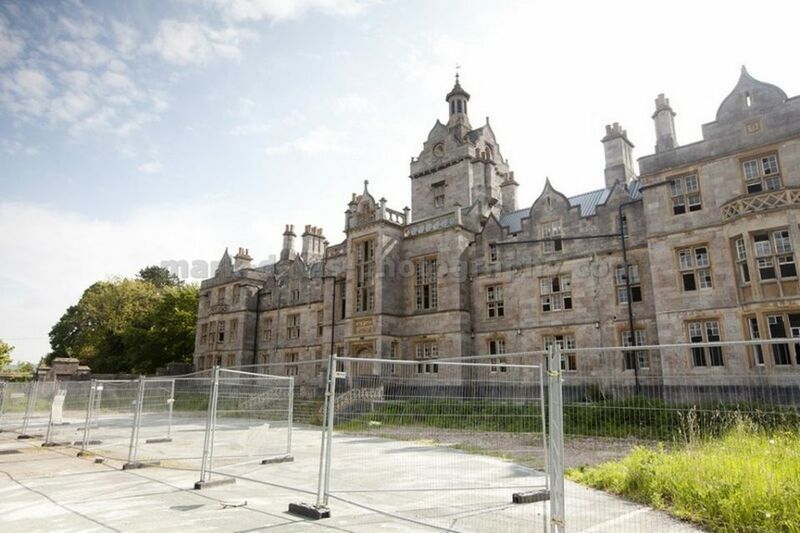 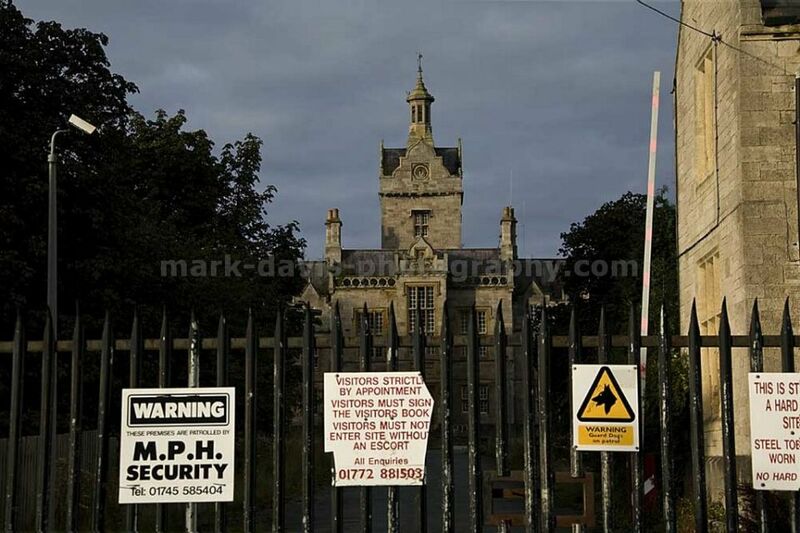 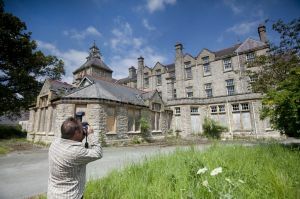 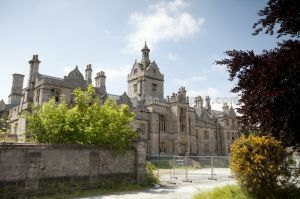 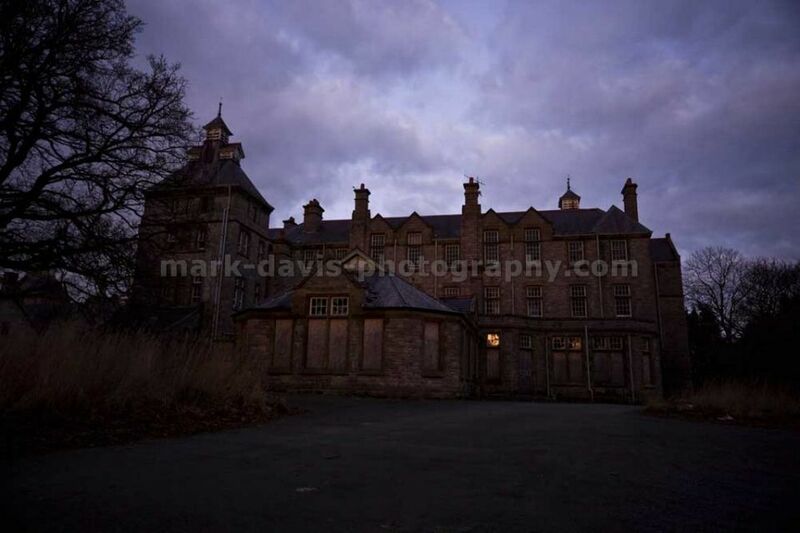 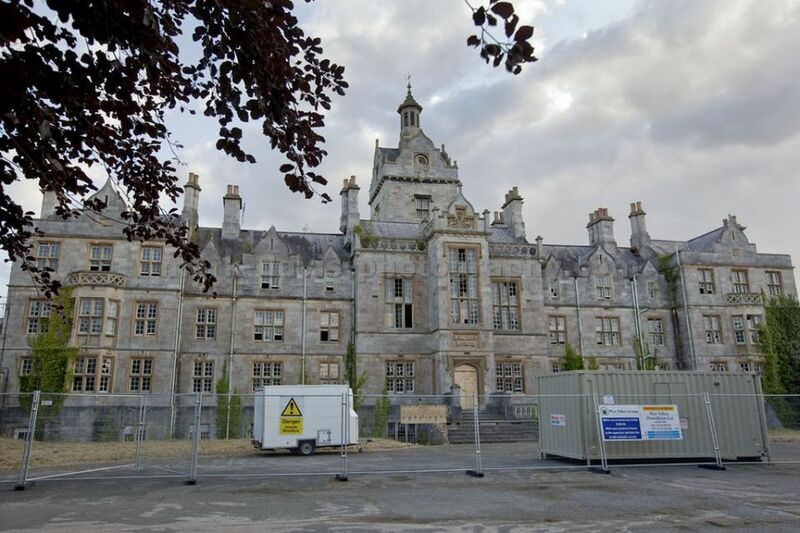 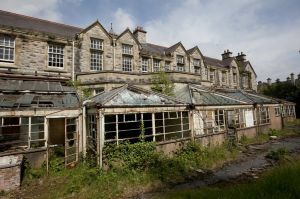 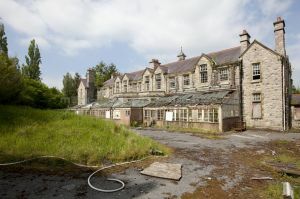 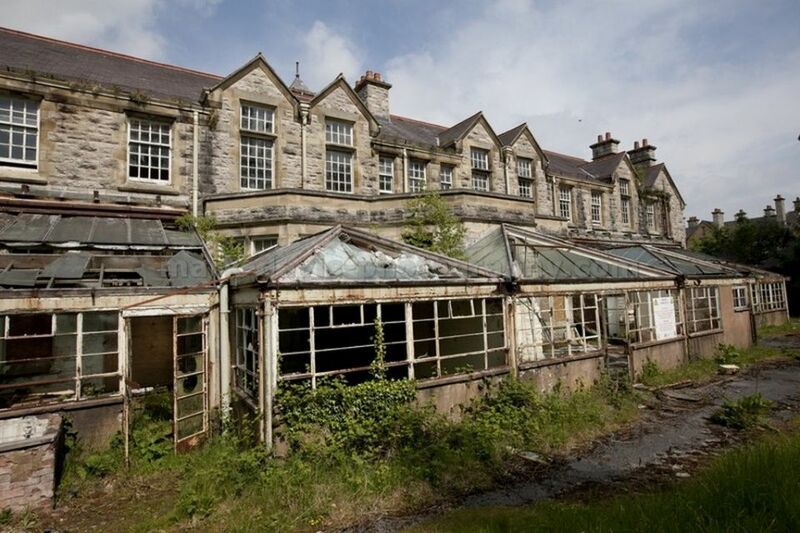 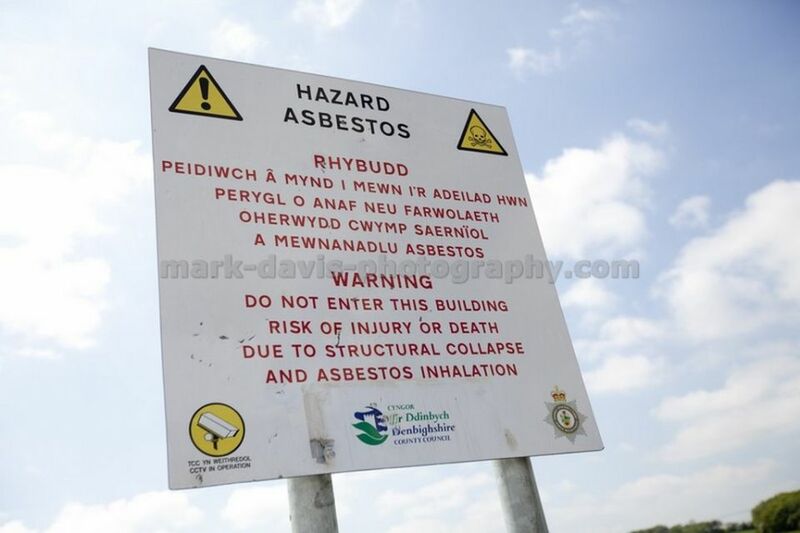 Later renamed North Wales Psychiatric Hospital the vast Victorian pile closed its doors in 1995. 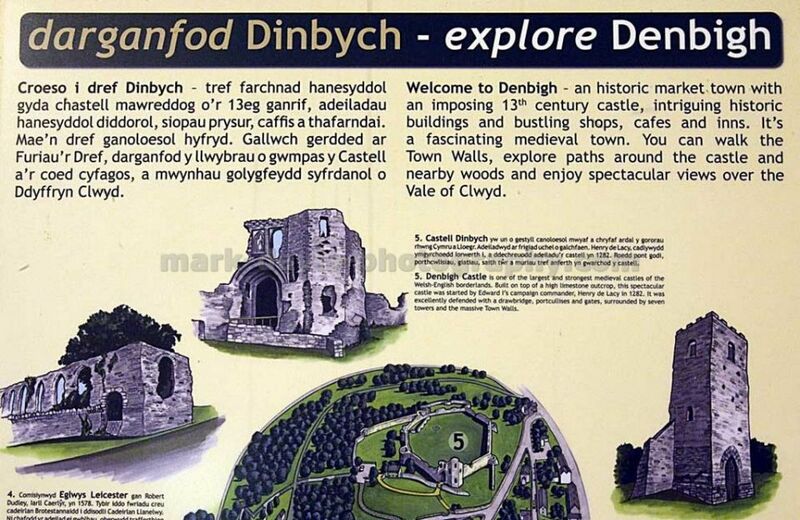 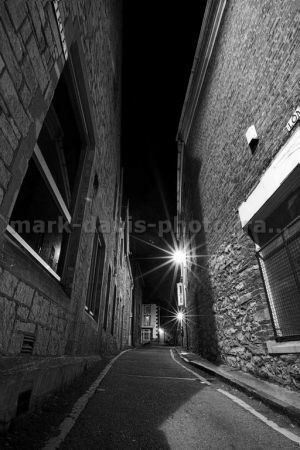 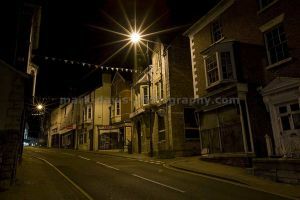 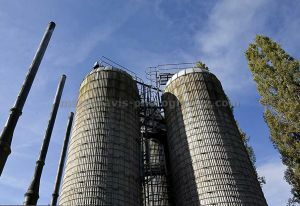 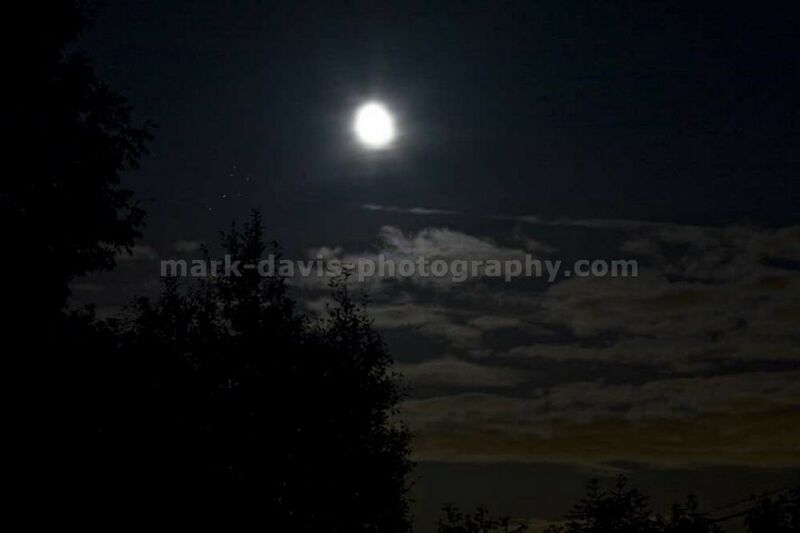 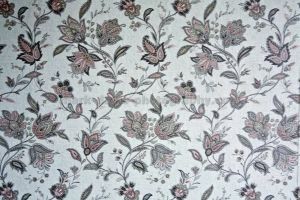 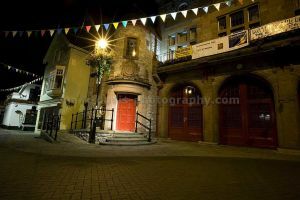 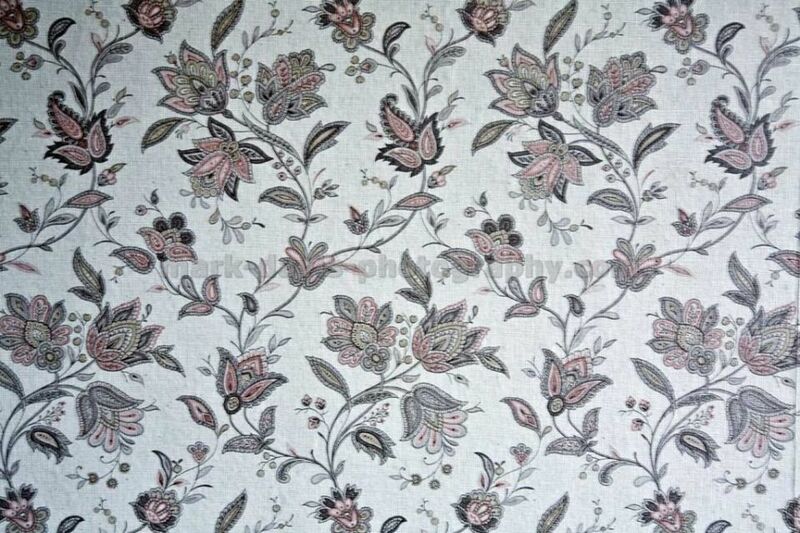 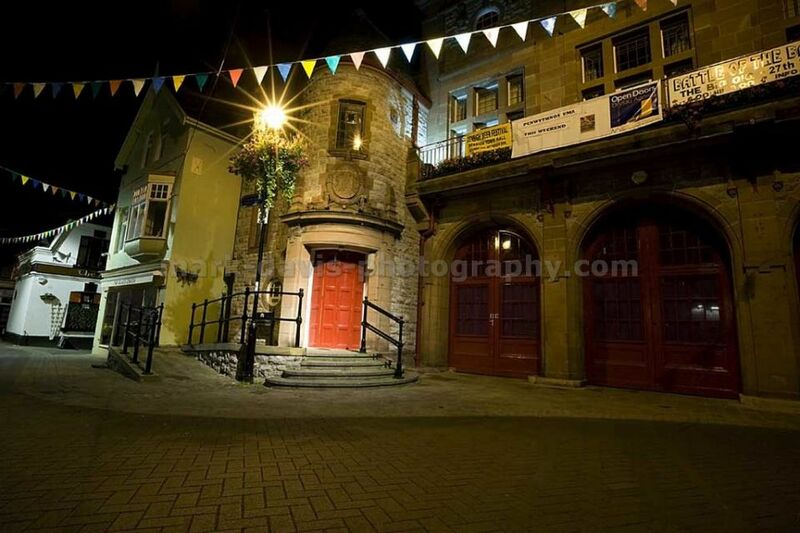 Known locally as the ‘Denbigh Mental’. 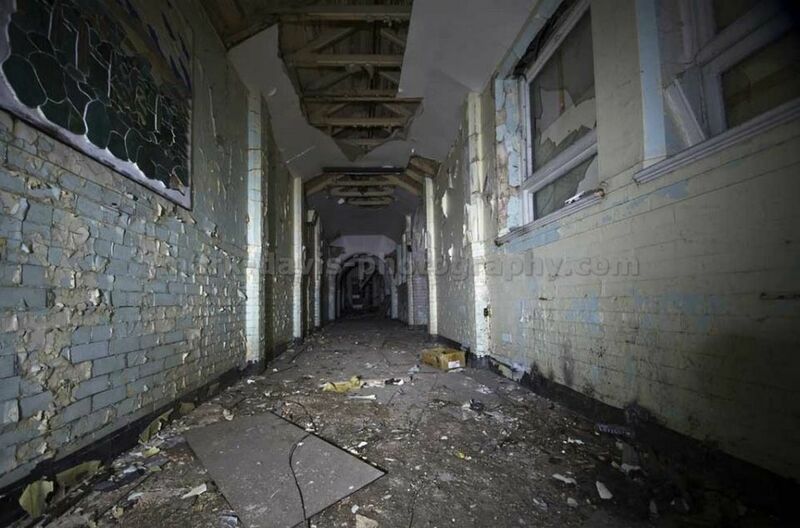 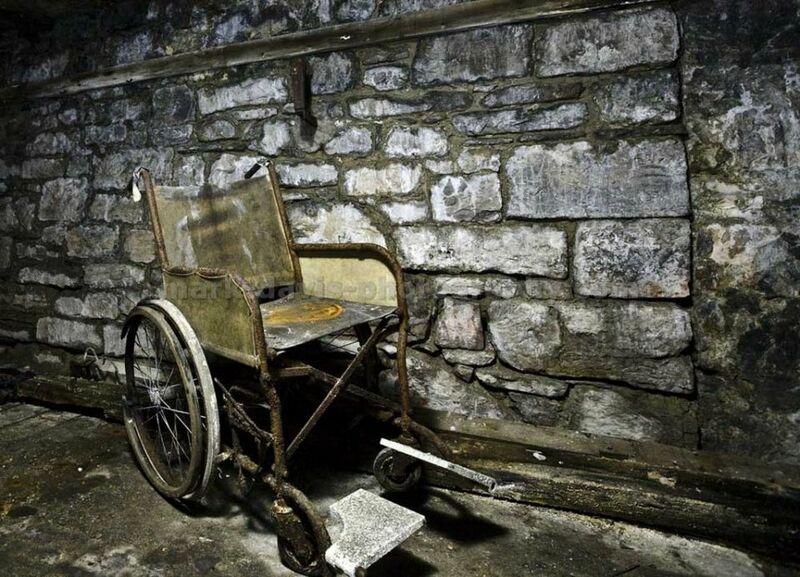 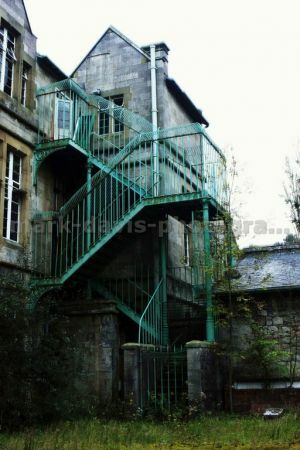 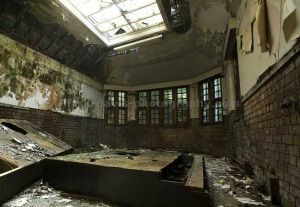 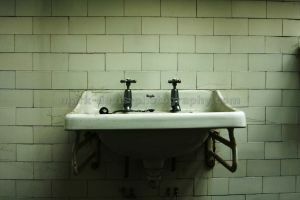 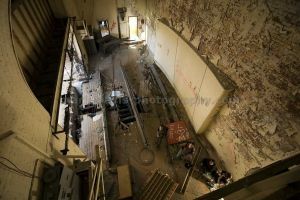 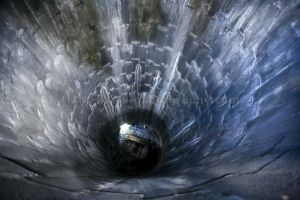 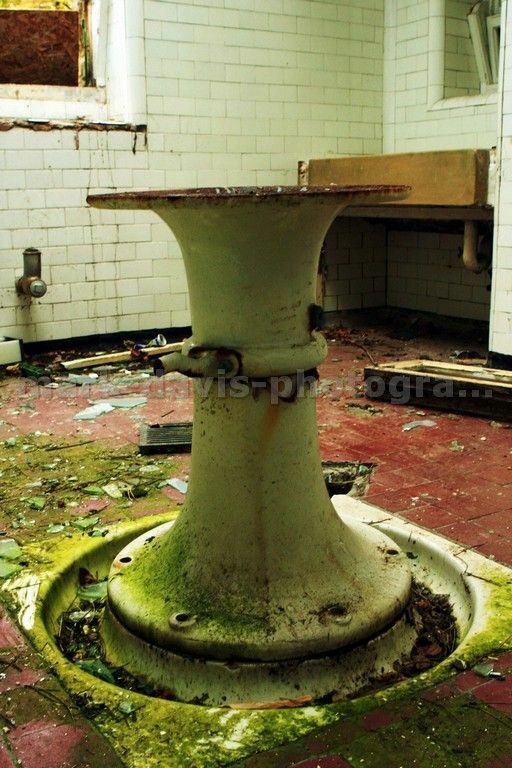 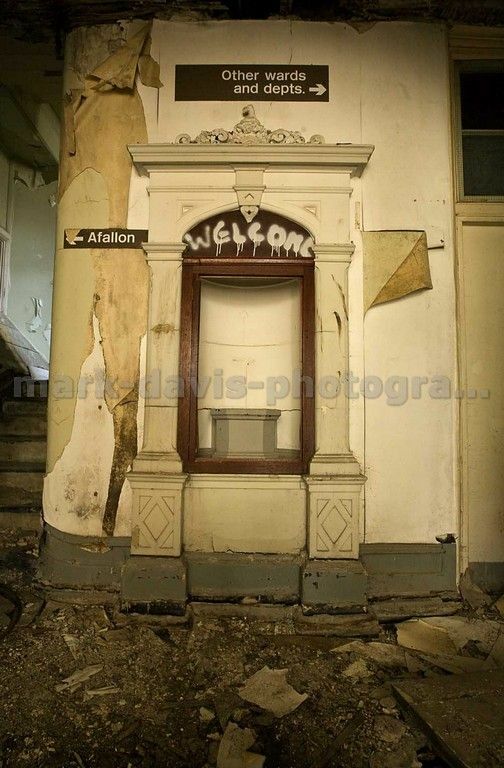 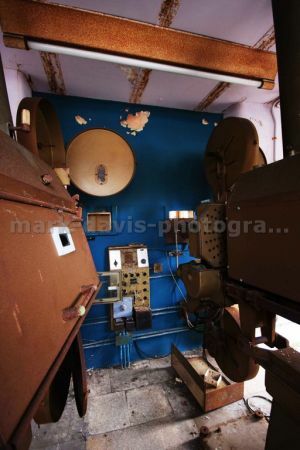 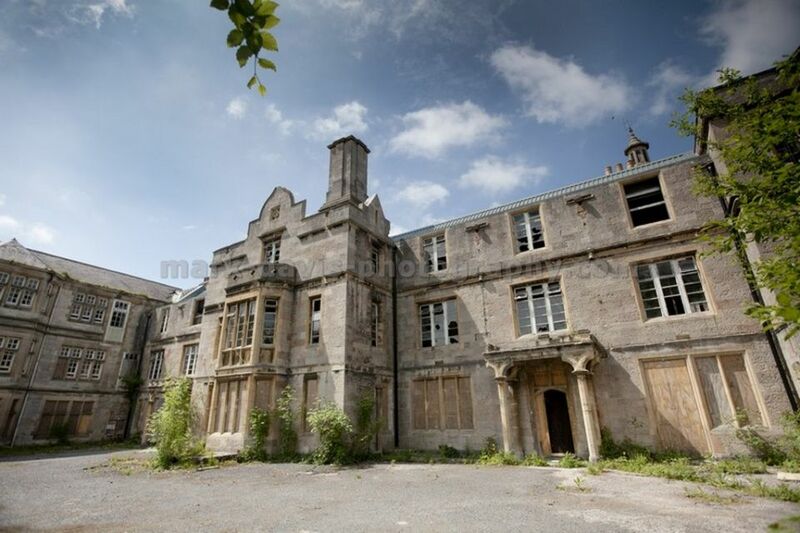 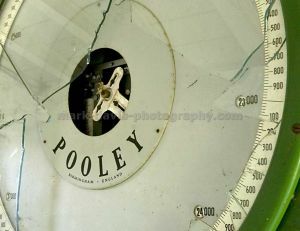 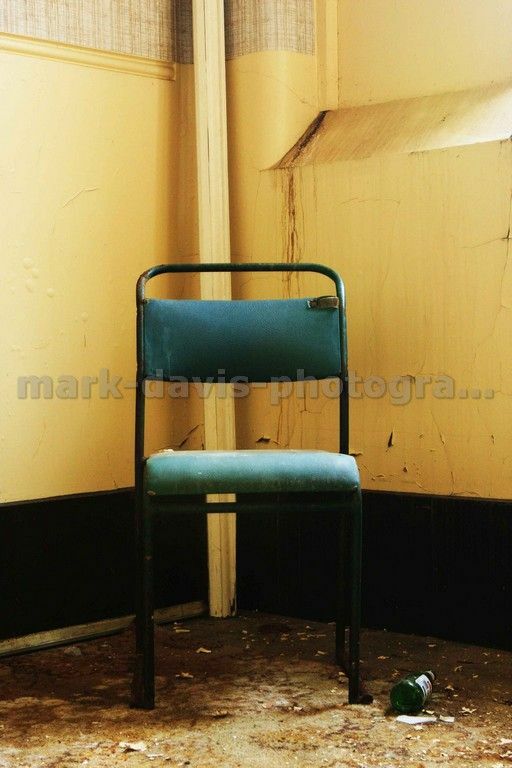 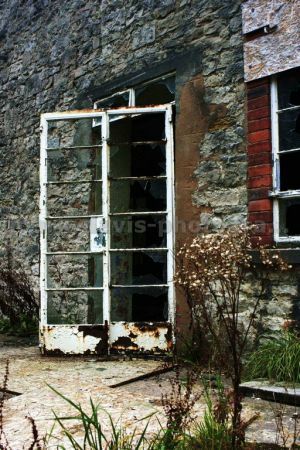 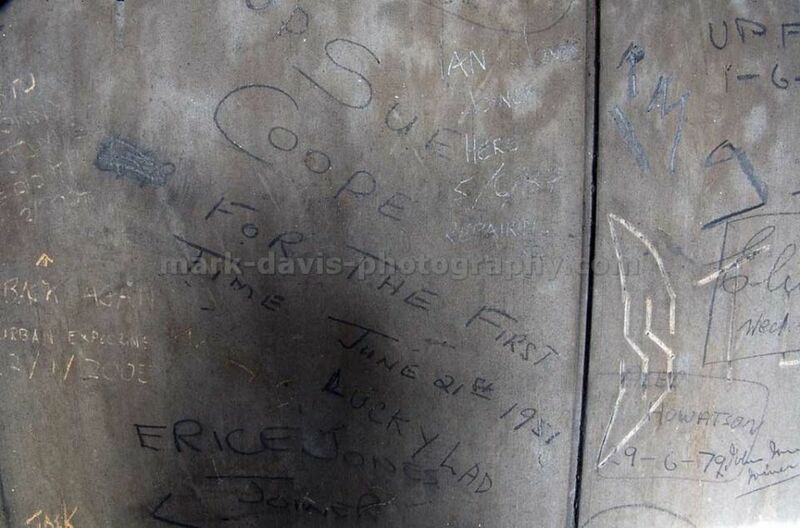 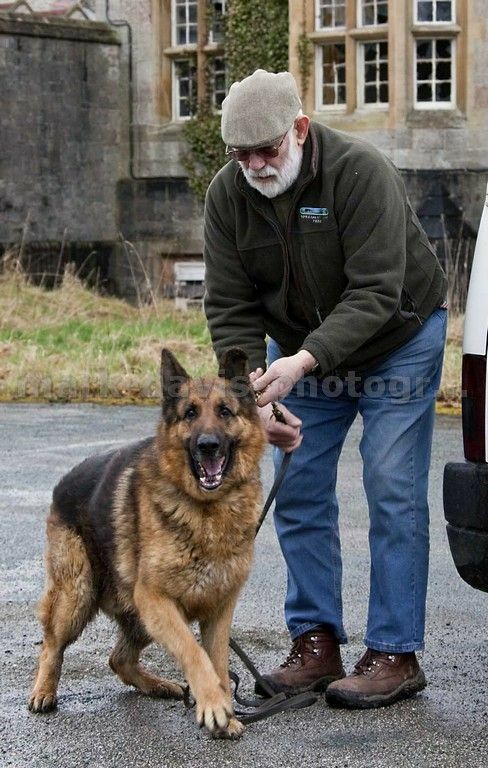 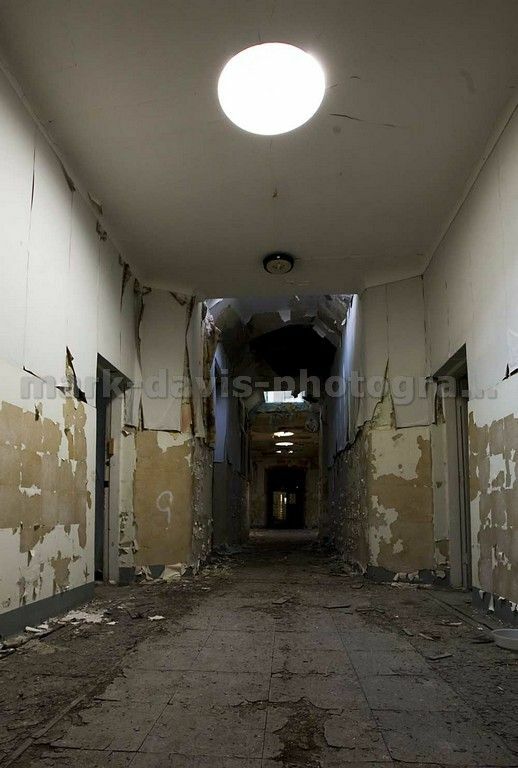 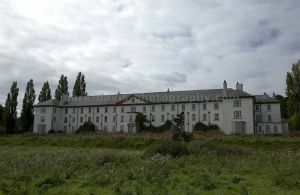 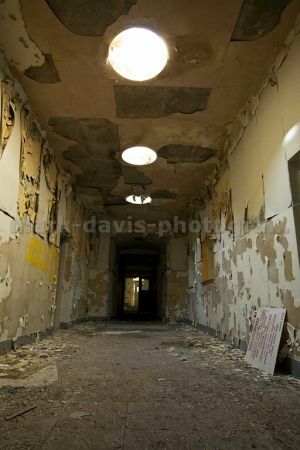 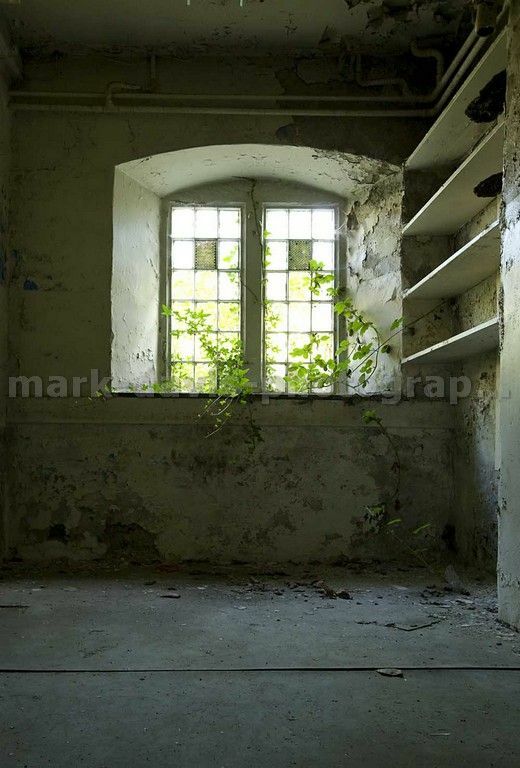 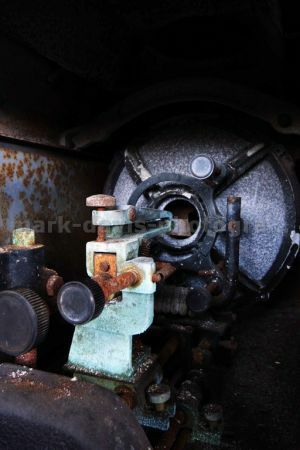 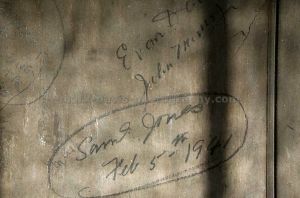 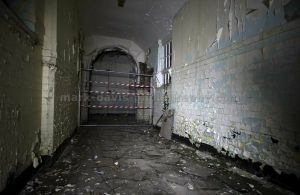 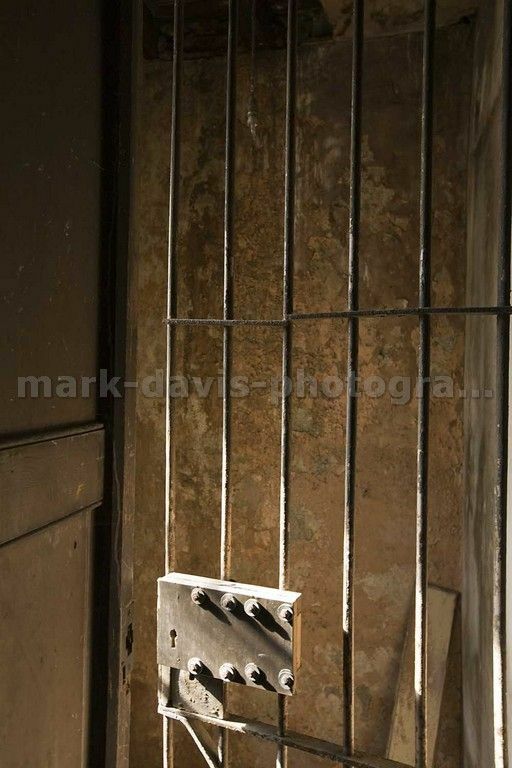 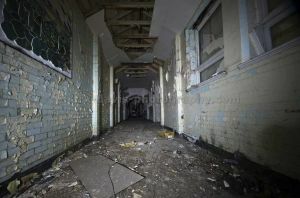 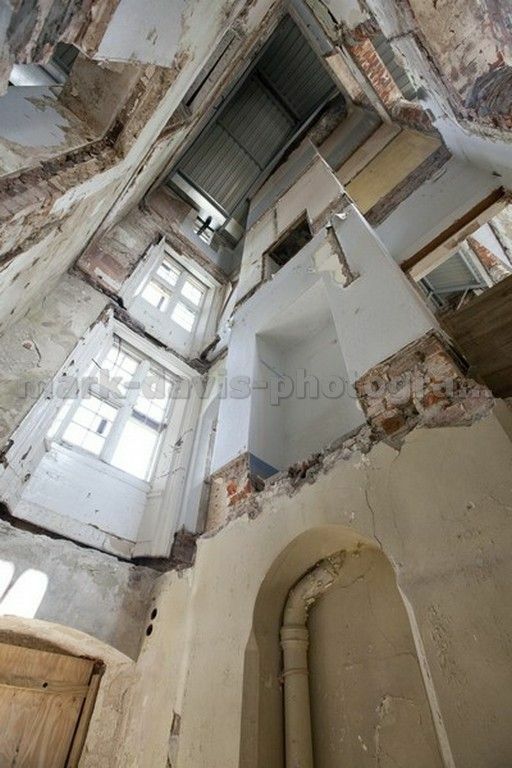 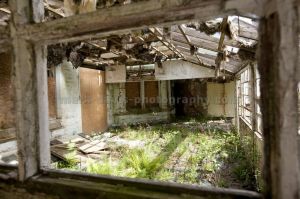 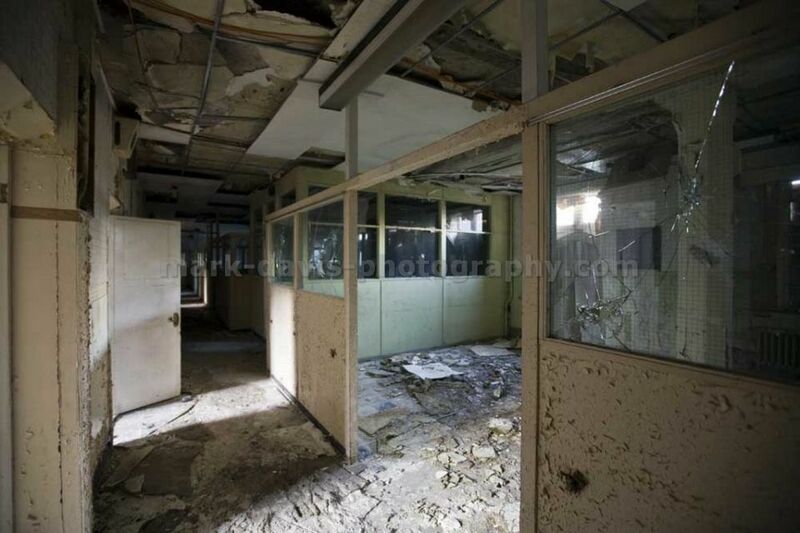 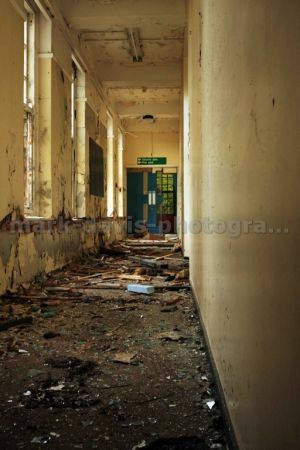 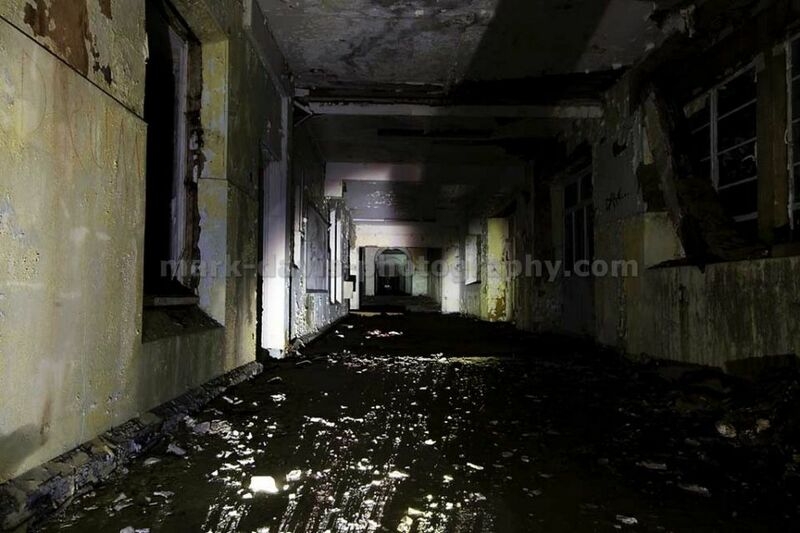 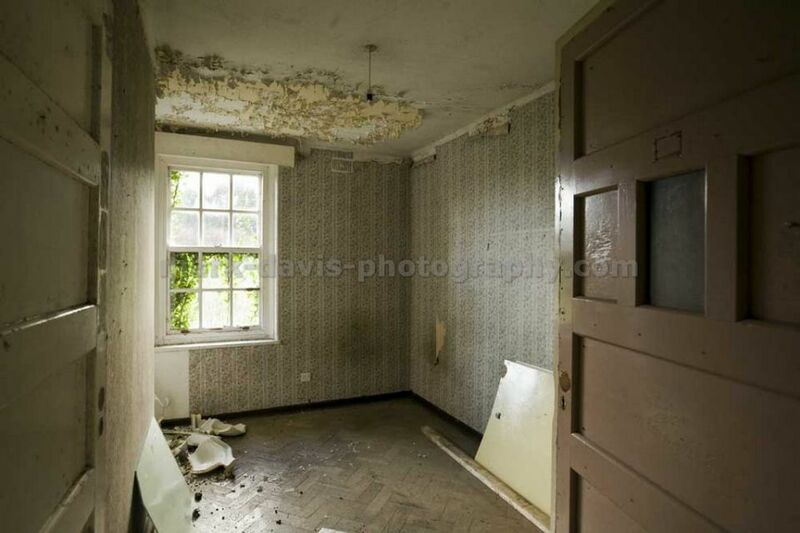 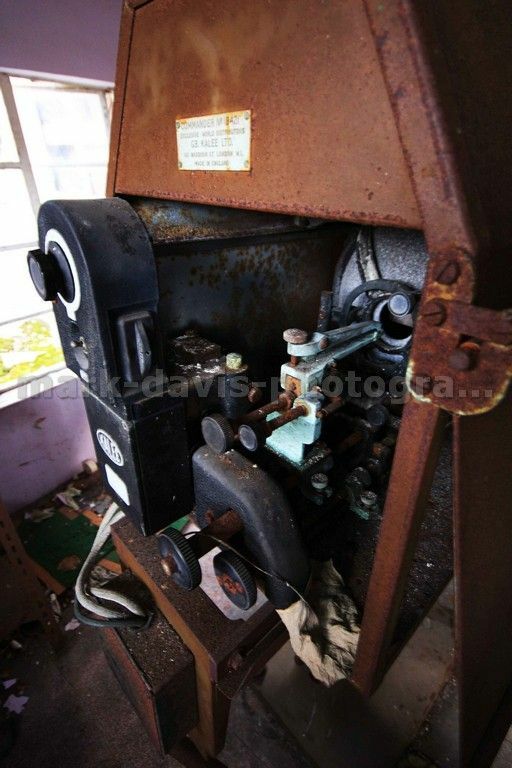 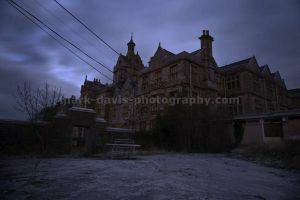 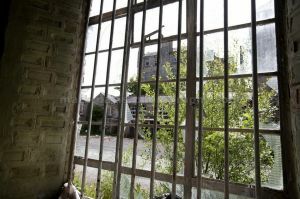 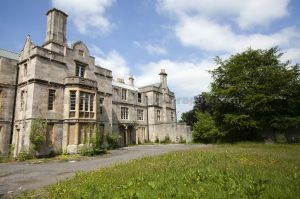 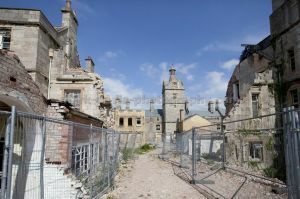 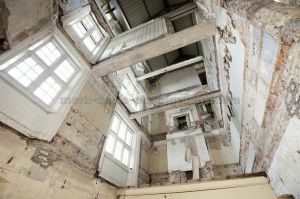 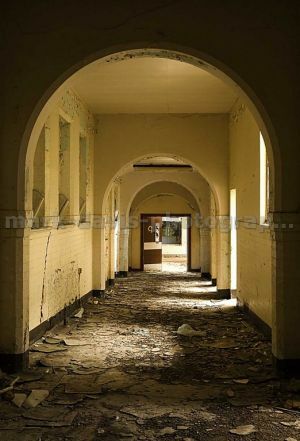 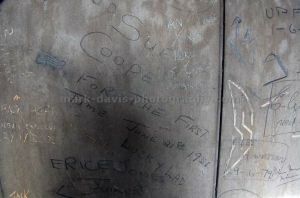 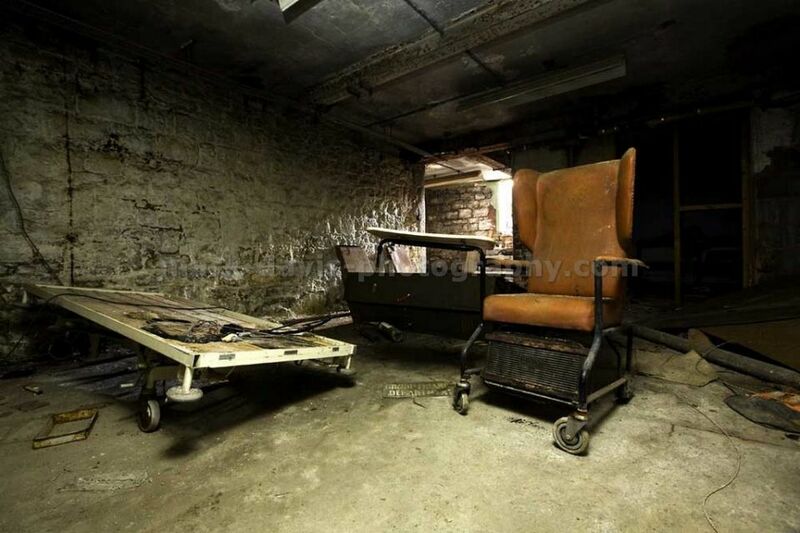 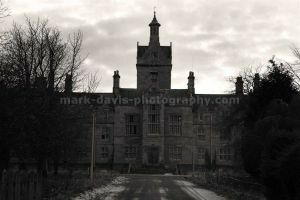 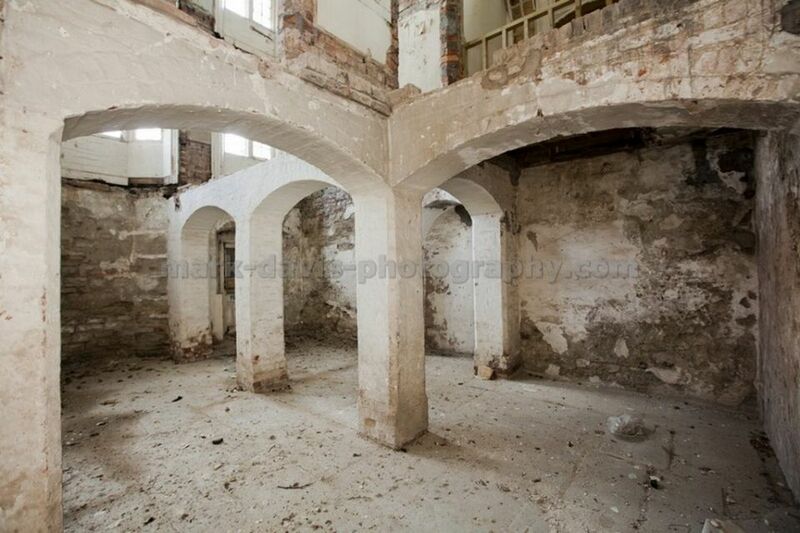 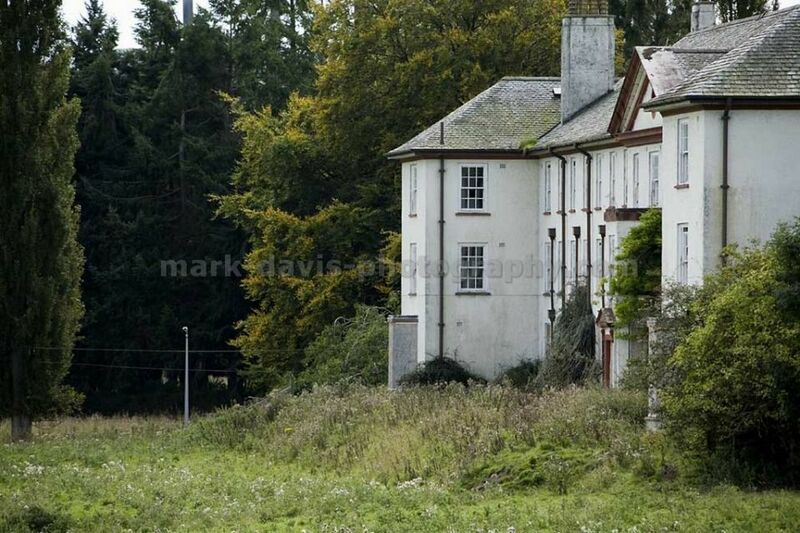 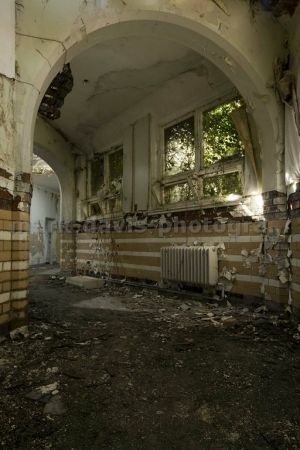 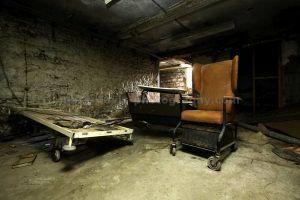 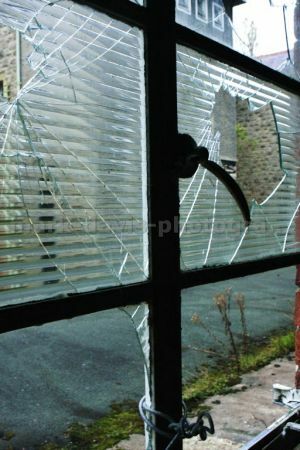 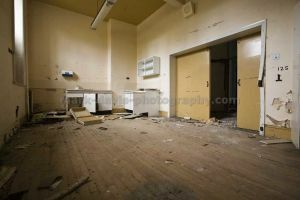 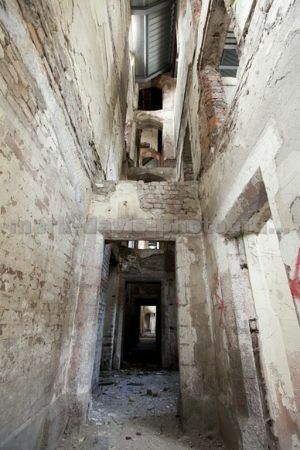 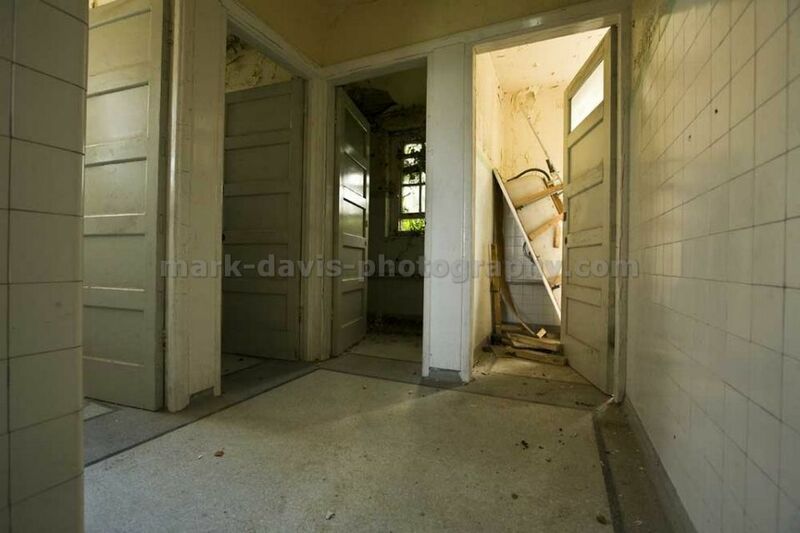 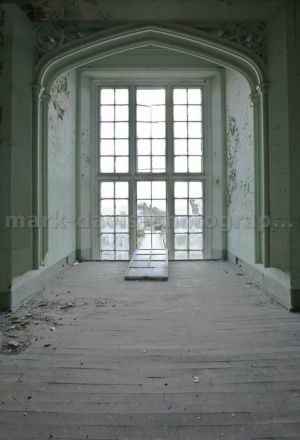 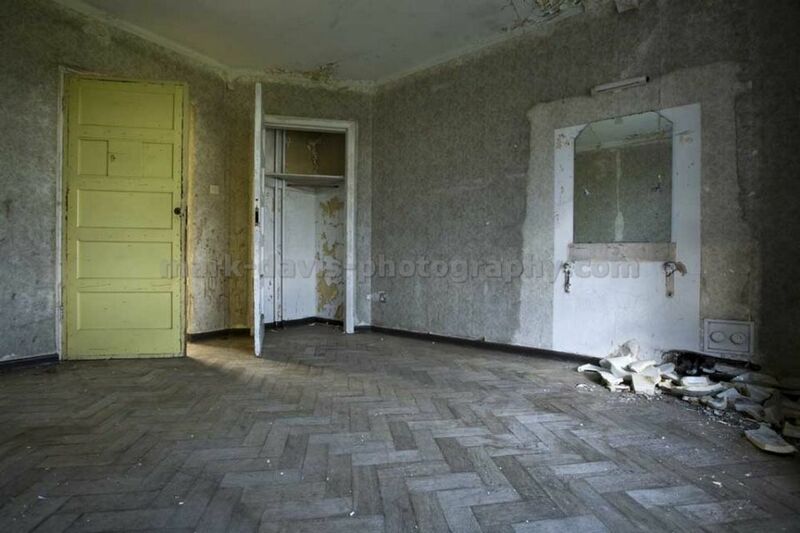 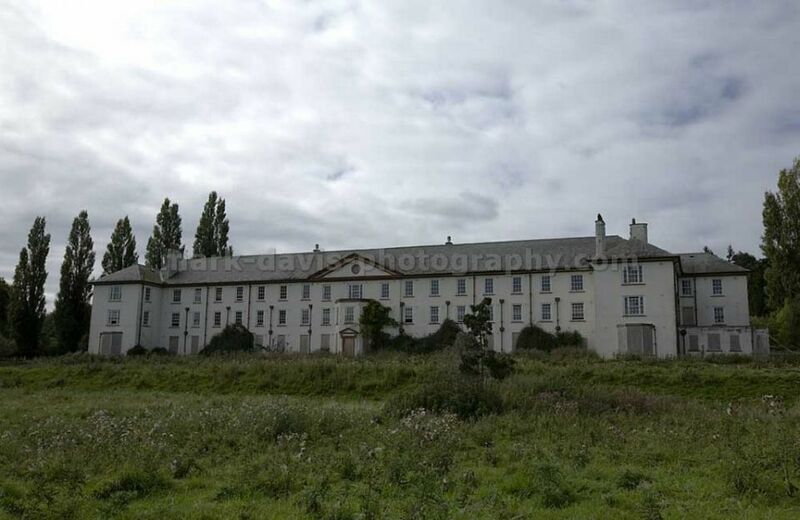 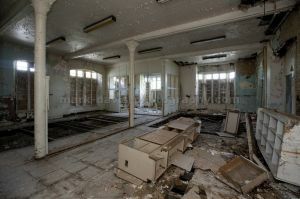 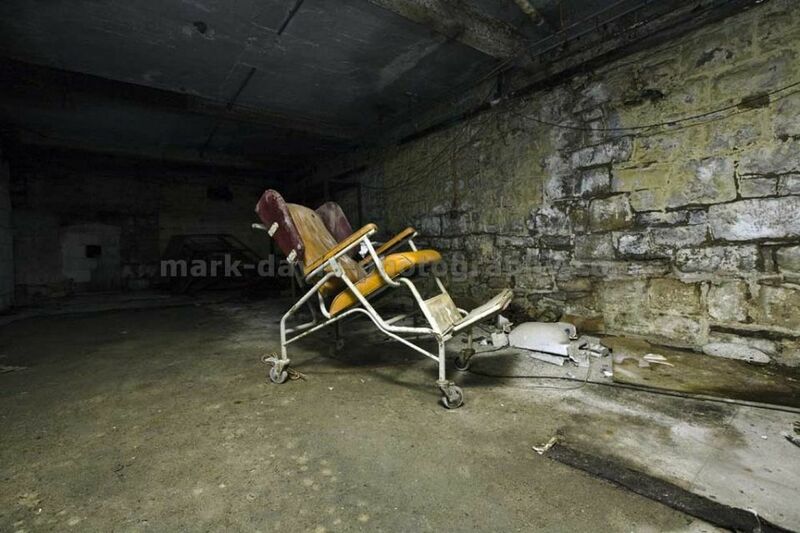 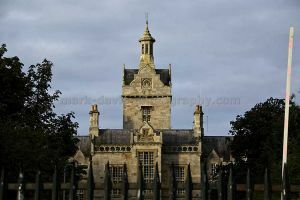 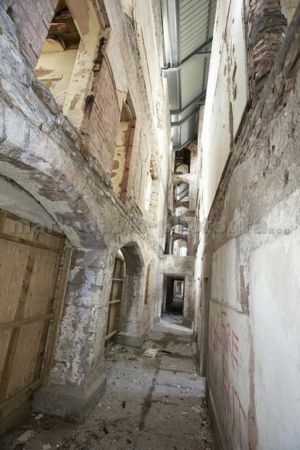 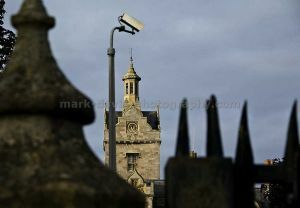 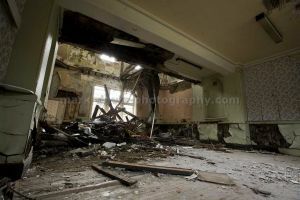 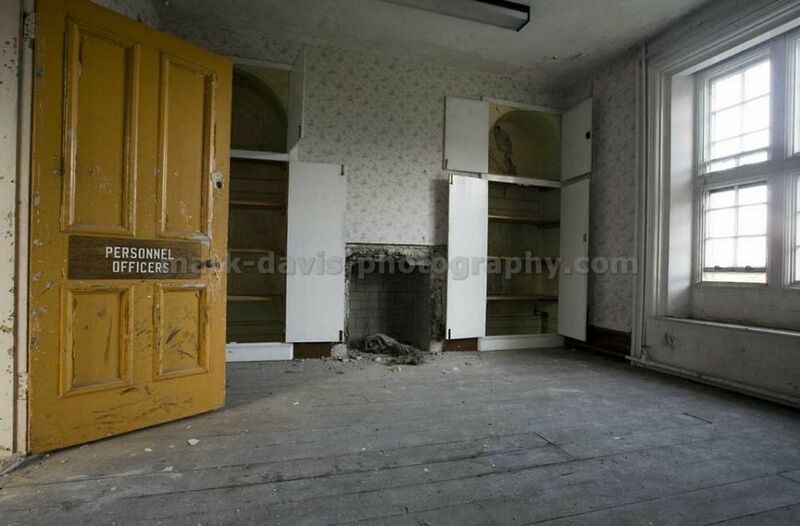 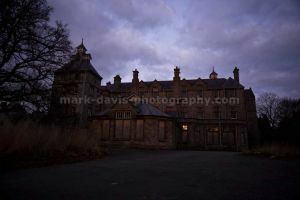 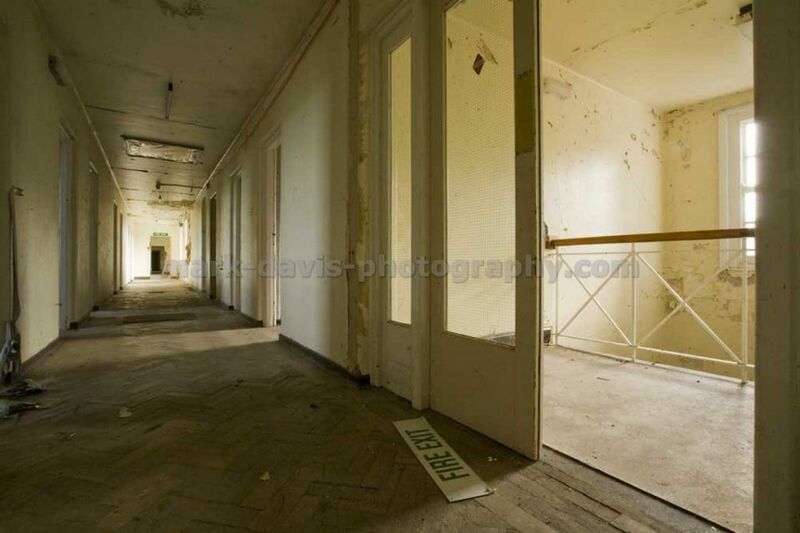 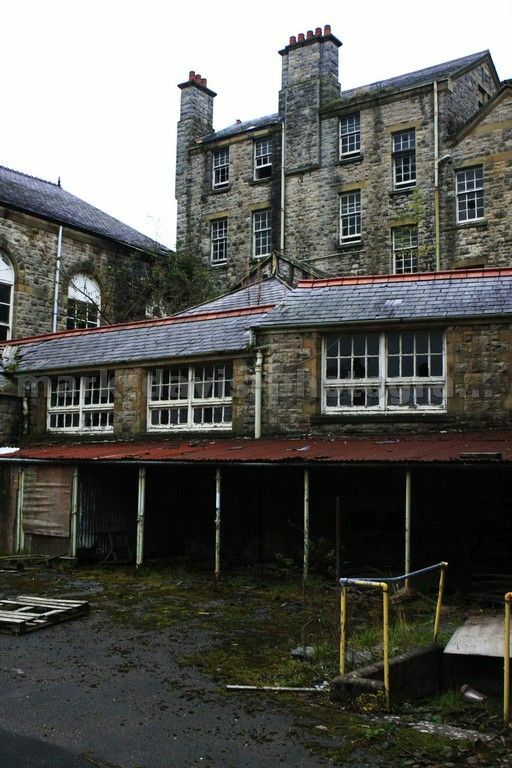 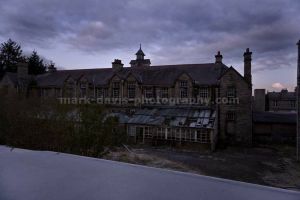 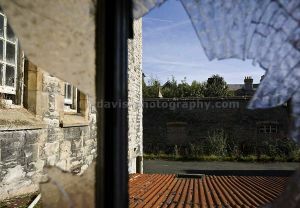 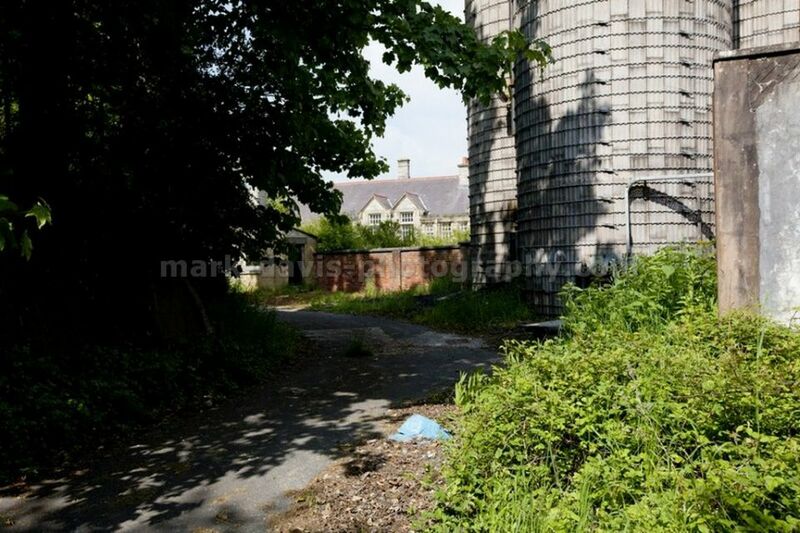 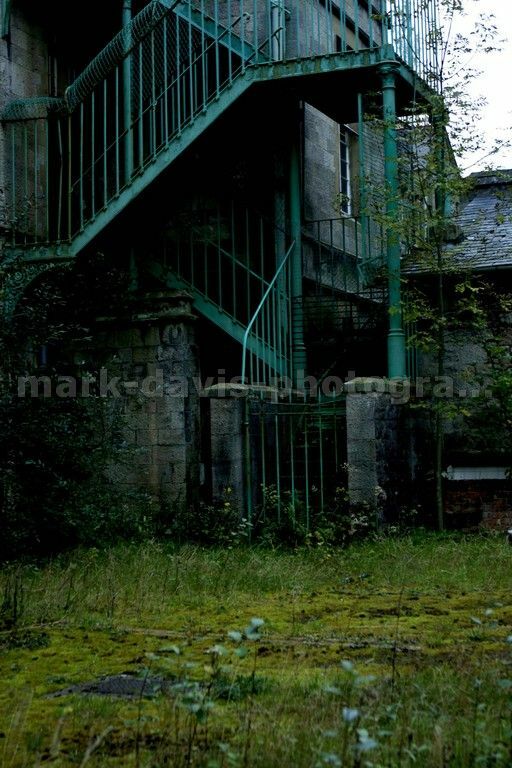 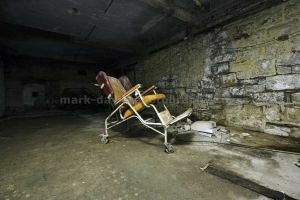 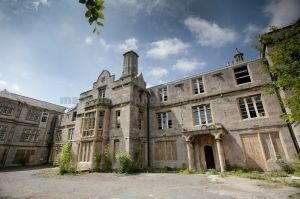 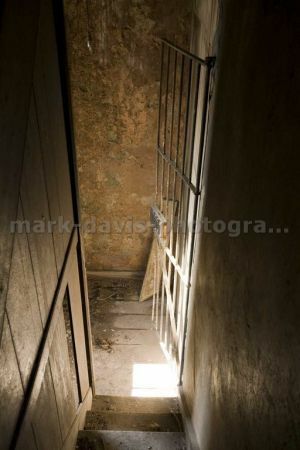 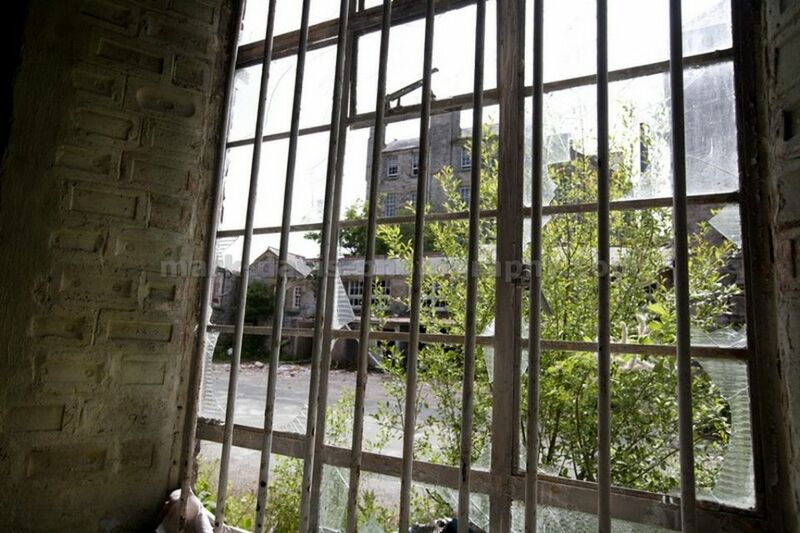 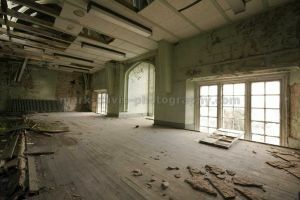 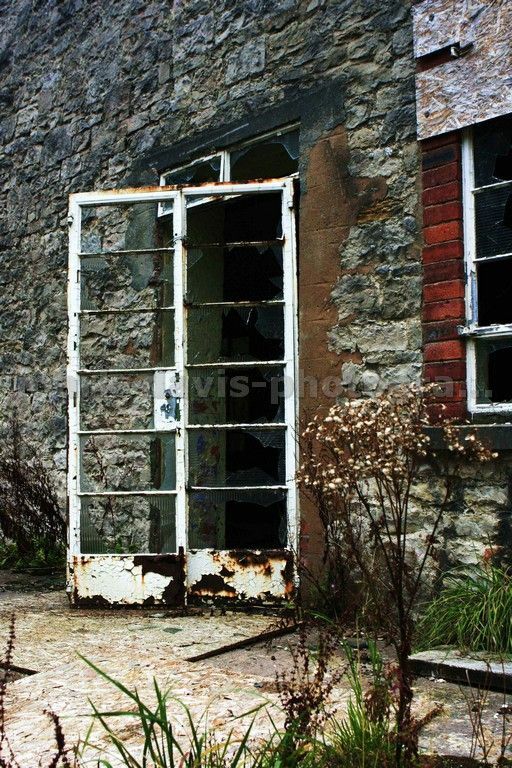 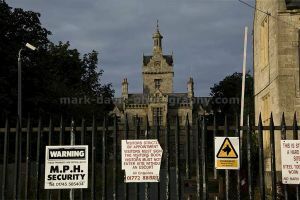 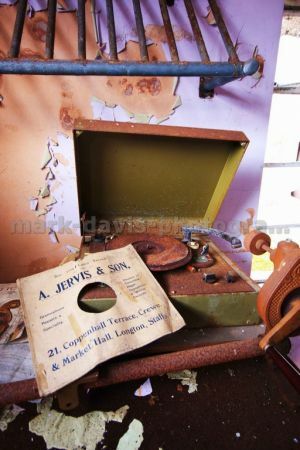 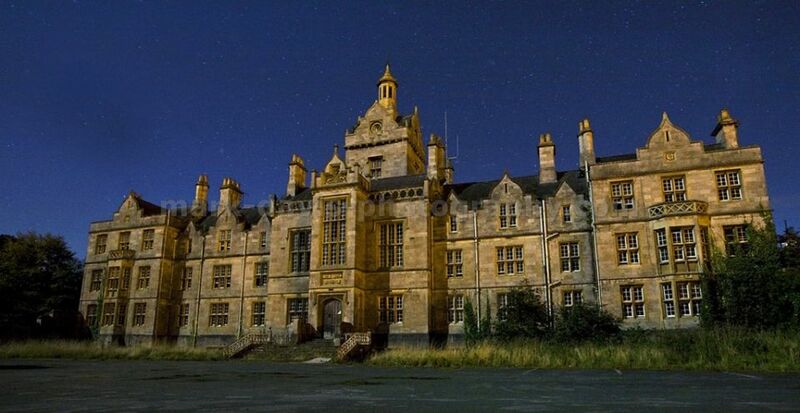 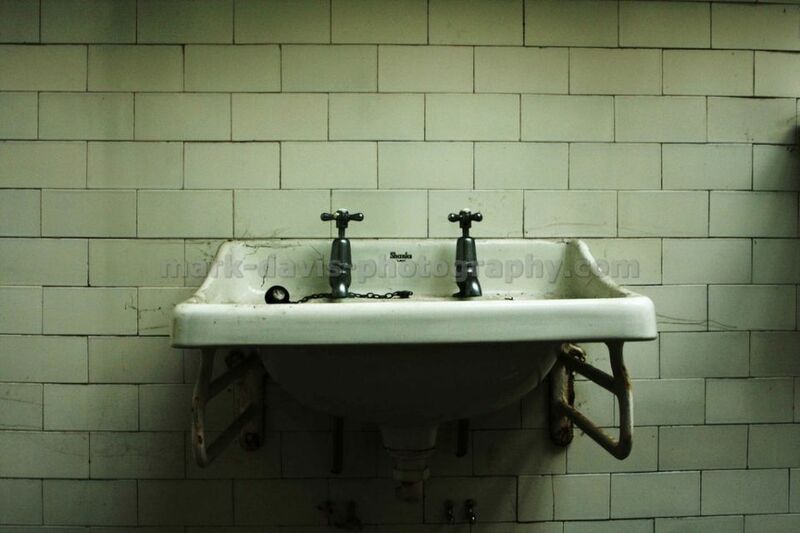 It was the subject of the Most Haunted team descending on the derelict hospital in October 2008. 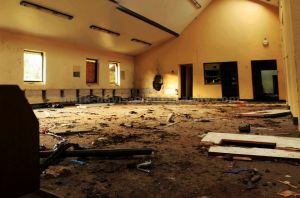 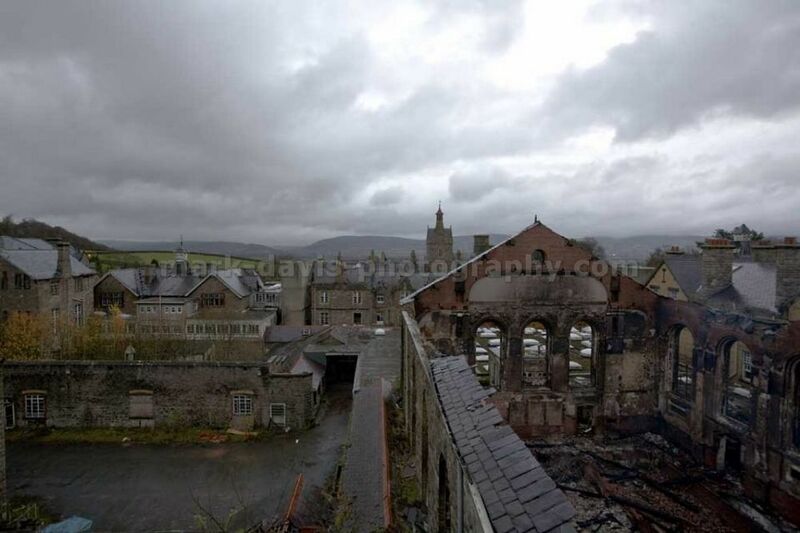 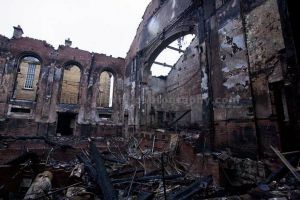 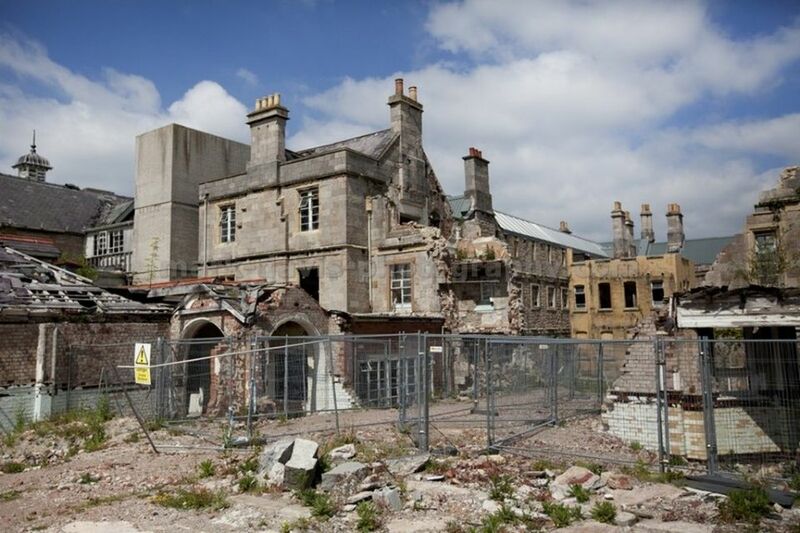 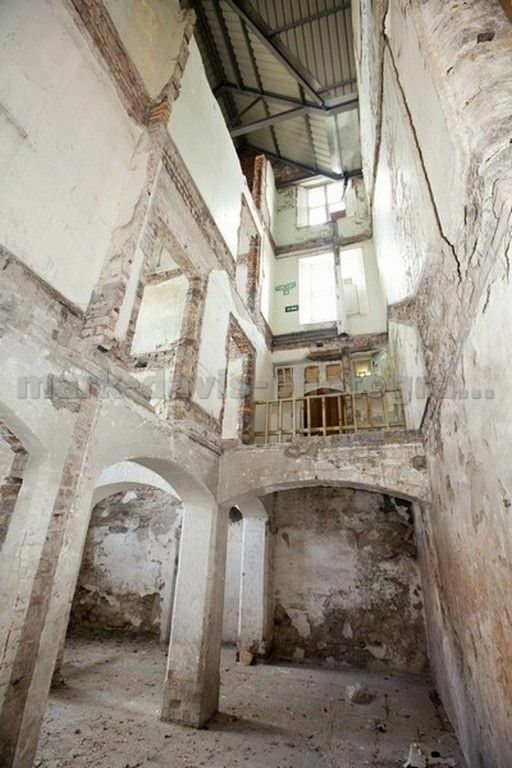 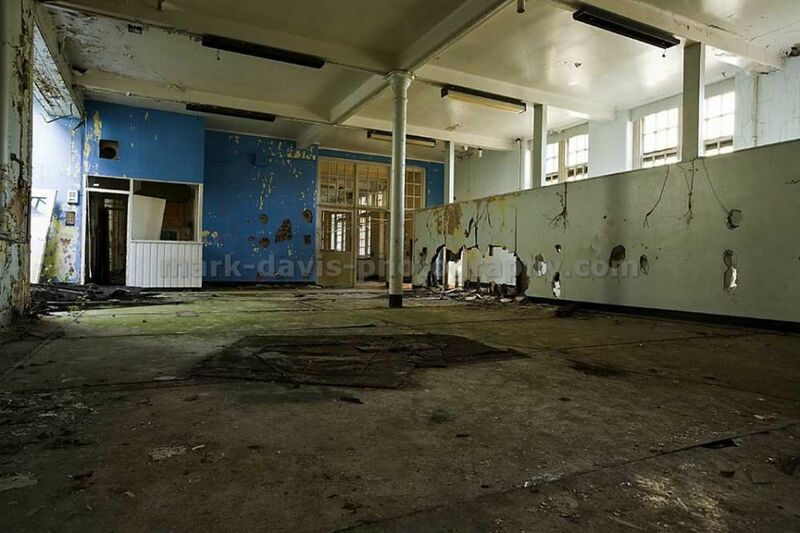 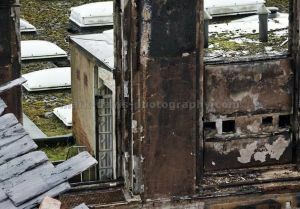 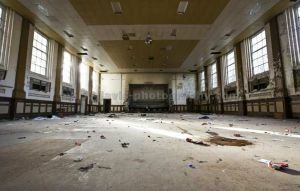 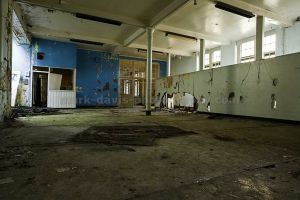 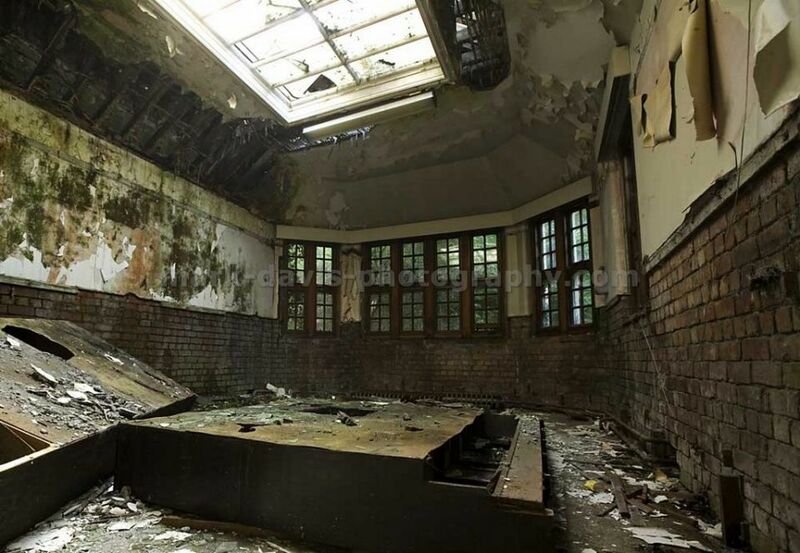 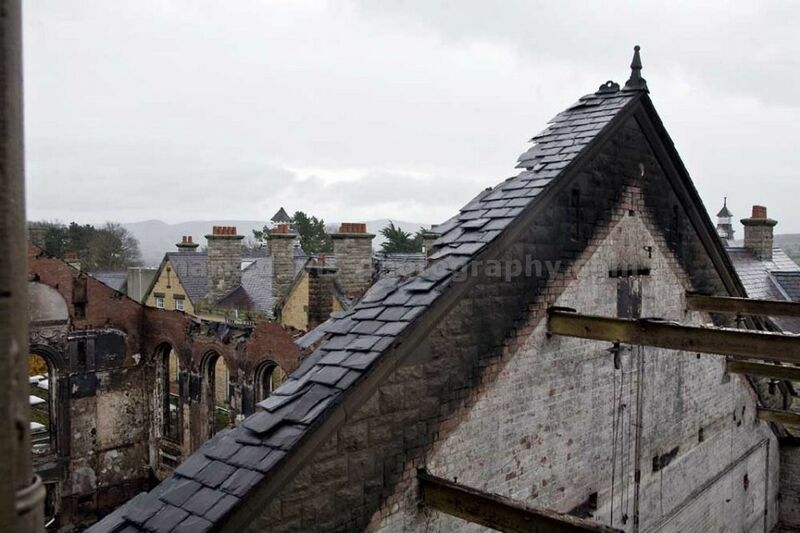 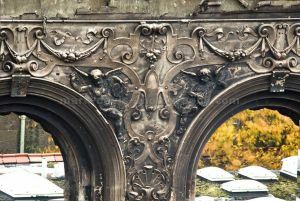 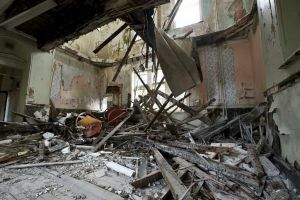 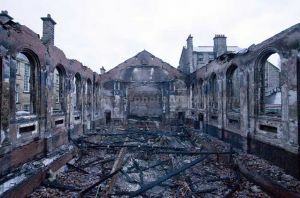 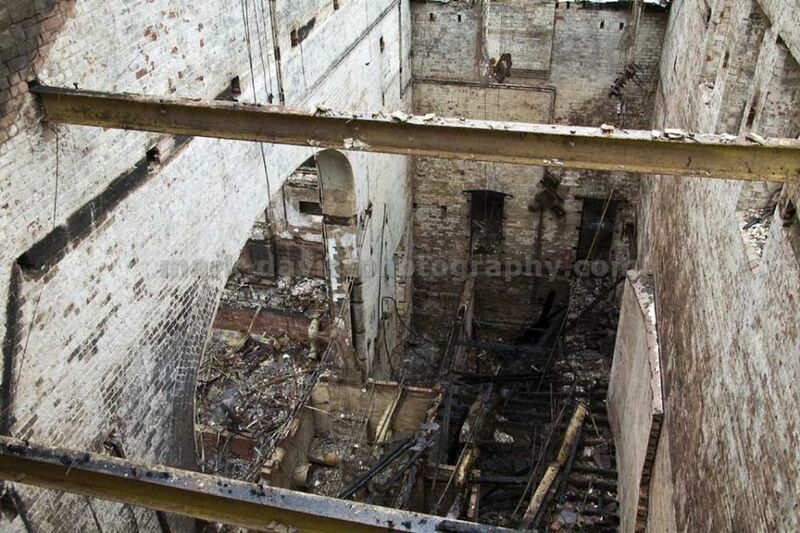 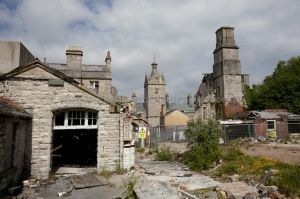 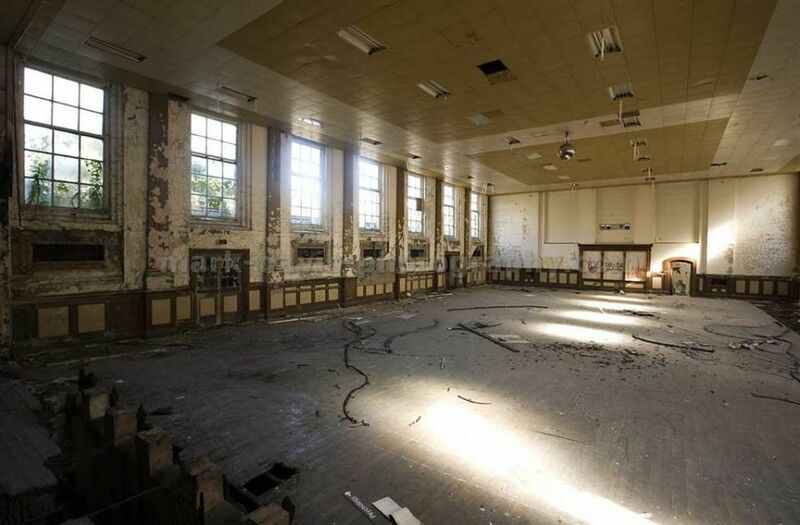 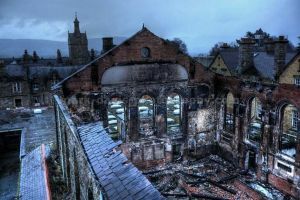 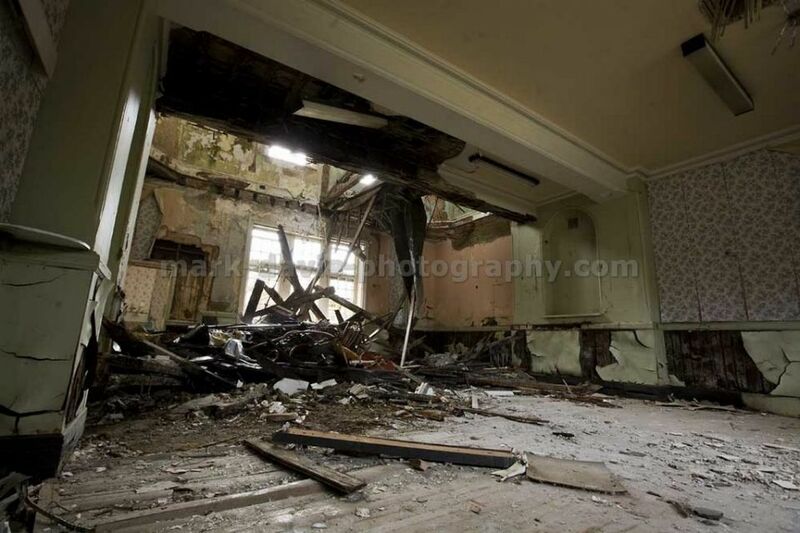 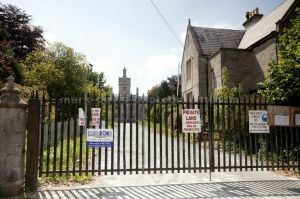 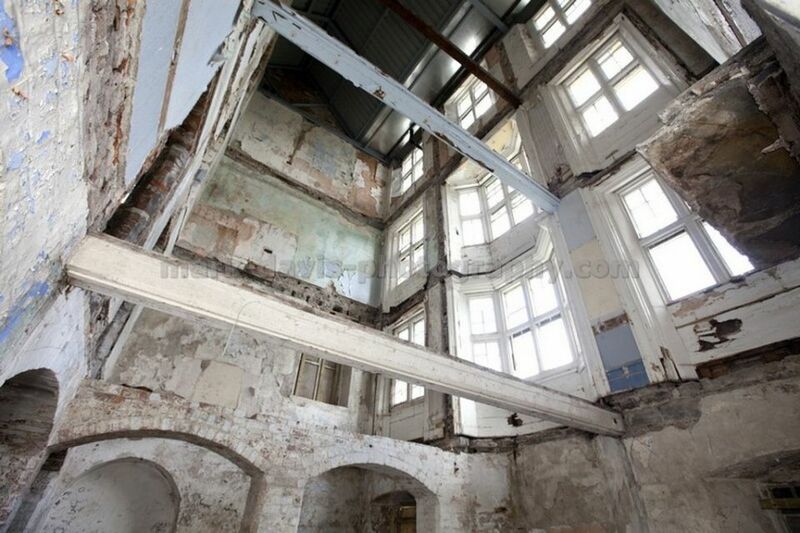 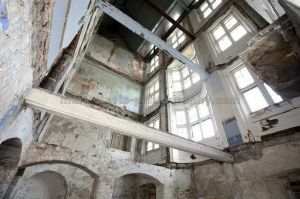 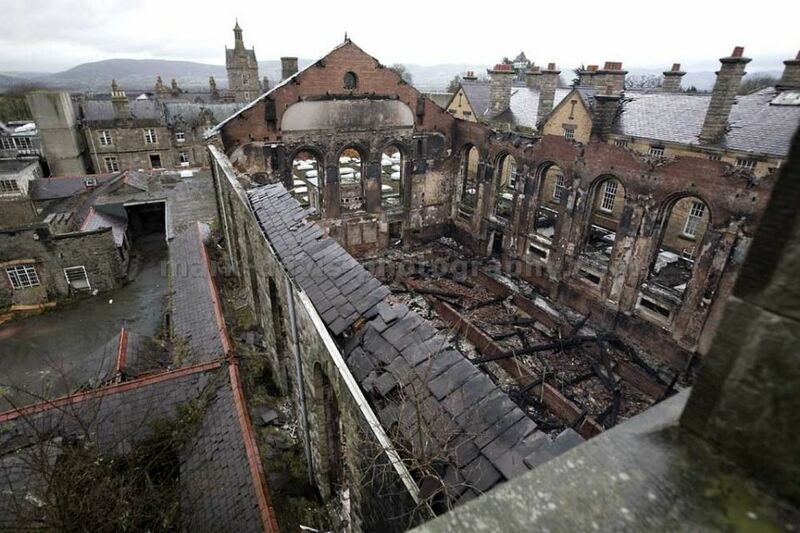 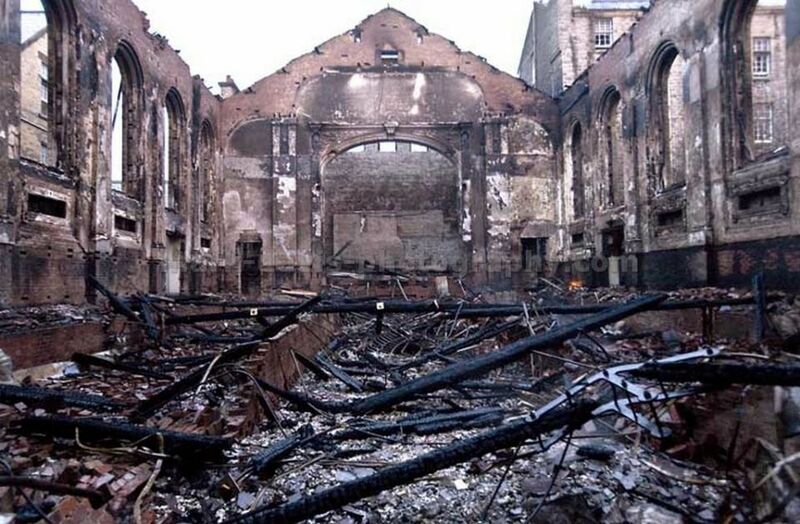 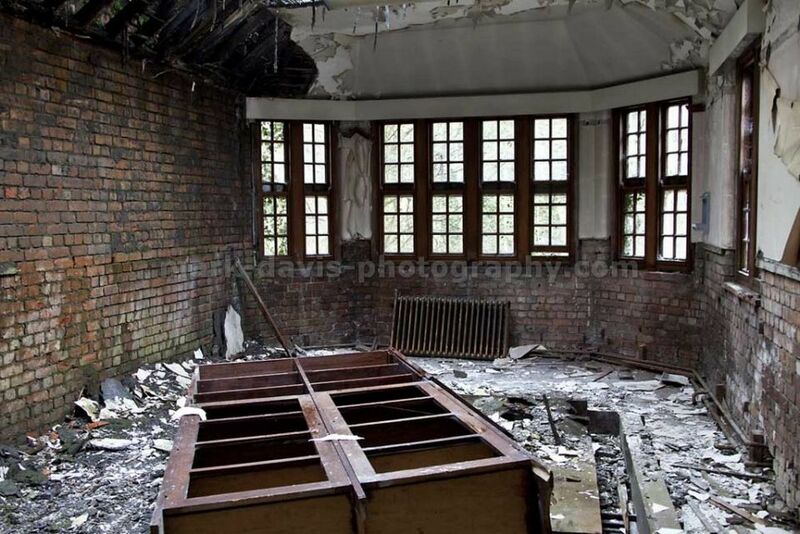 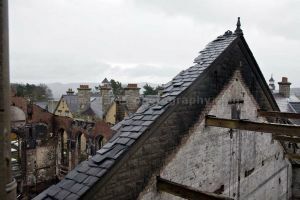 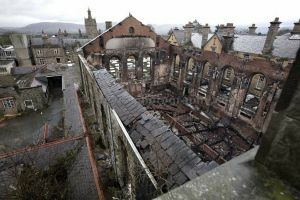 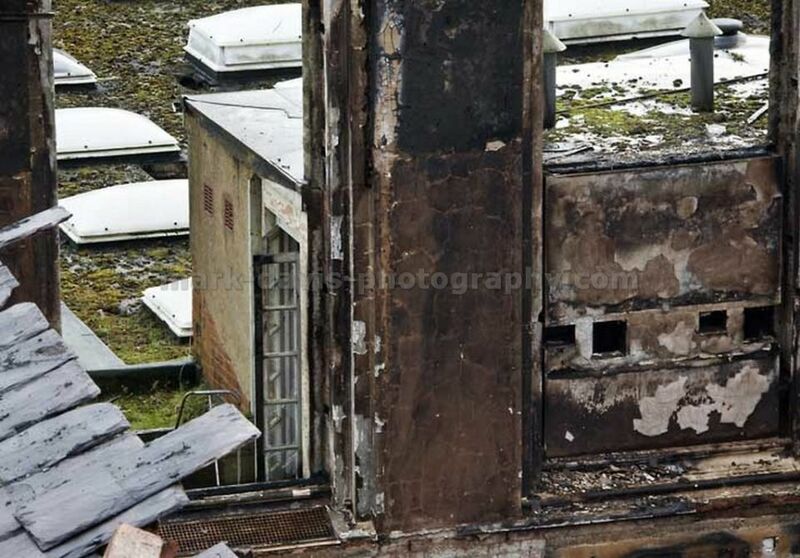 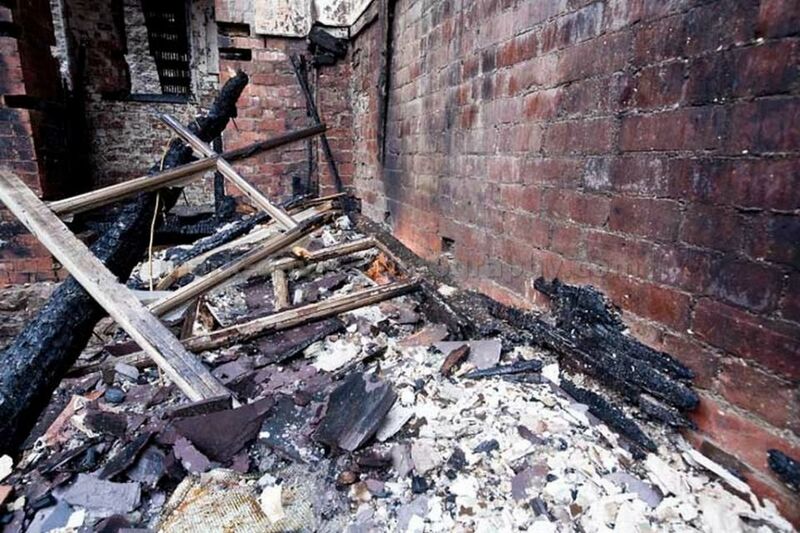 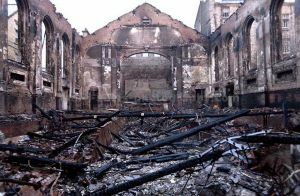 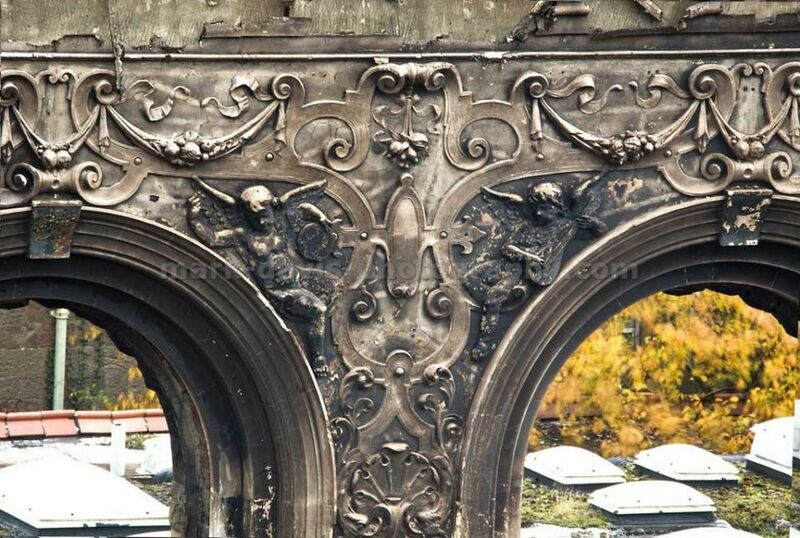 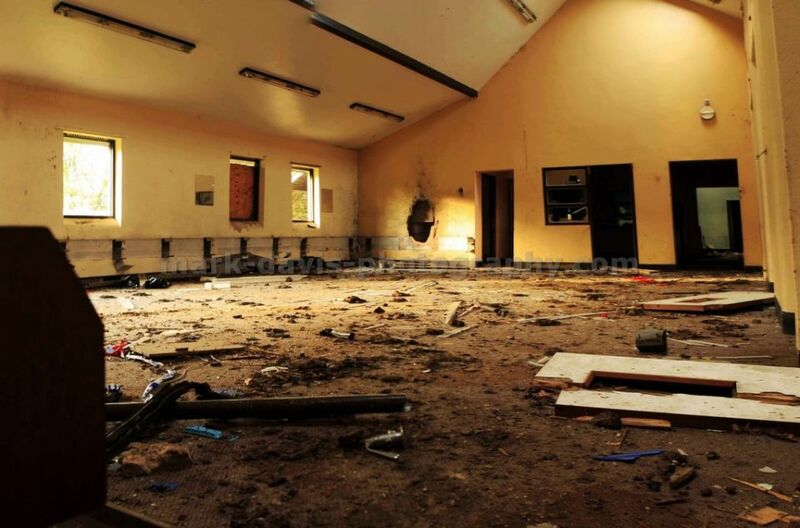 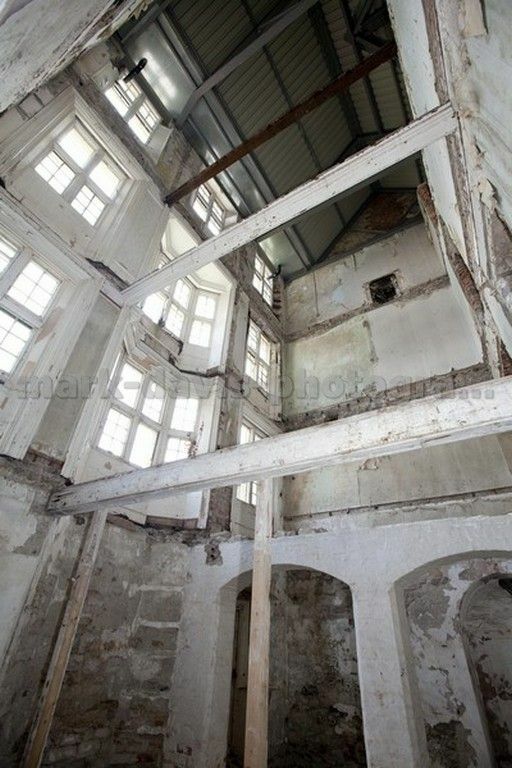 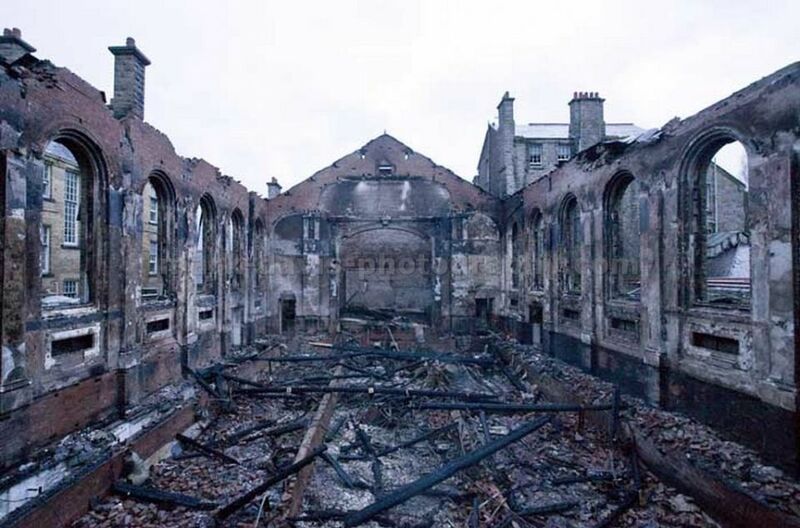 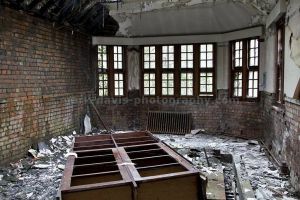 In November 2008 the magnificent ballroom that had once been the heart of the asylum was subject to an arson attack resulting in its demolition, this was quite literally as locals marched through the streets lobbying the council to put a protection order on it.